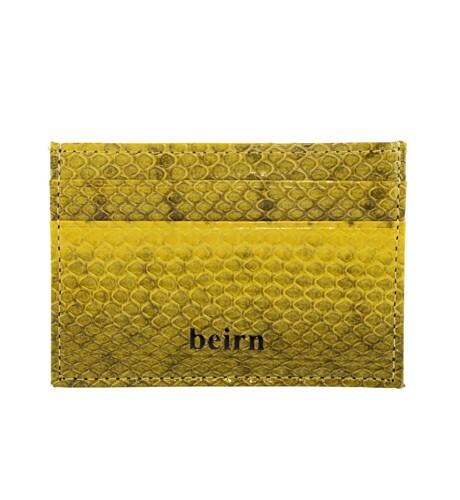 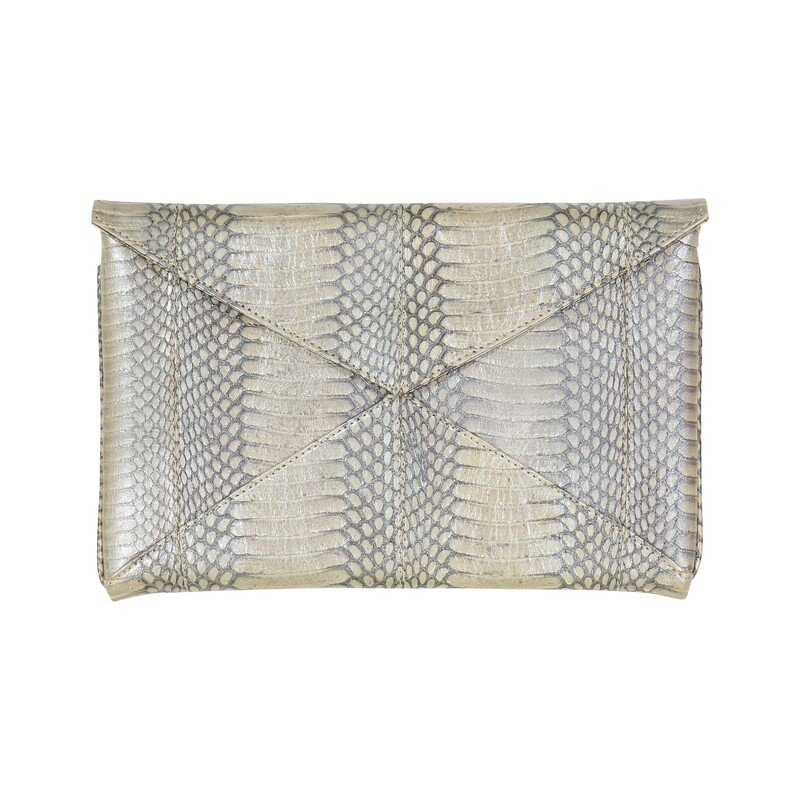 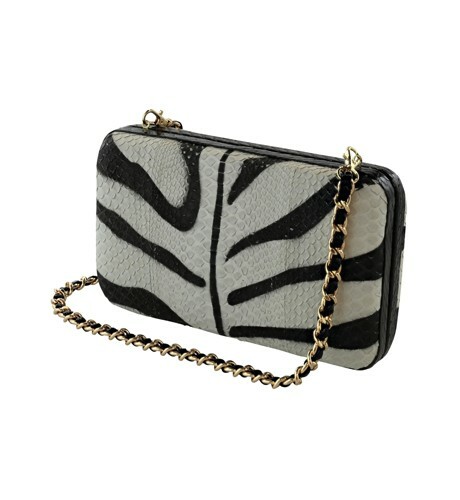 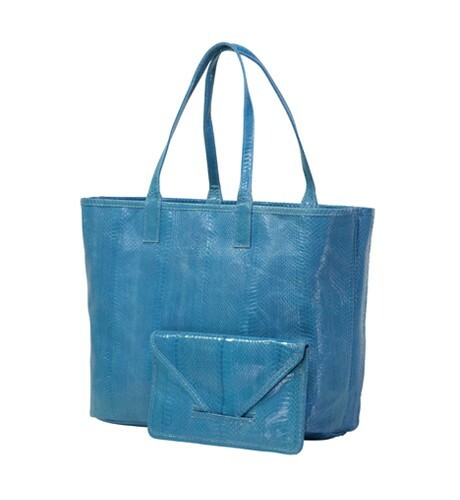 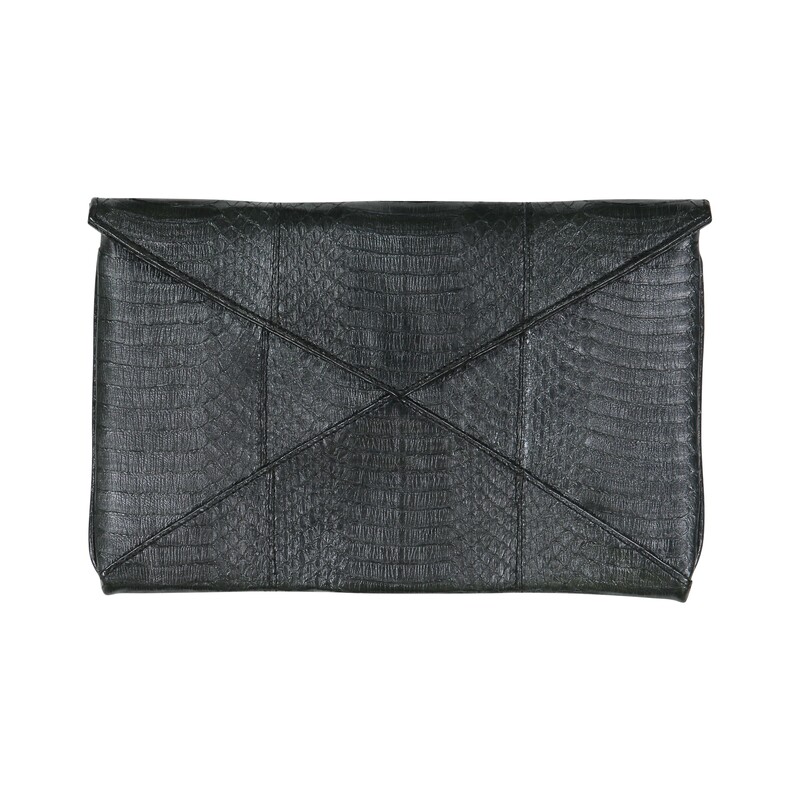 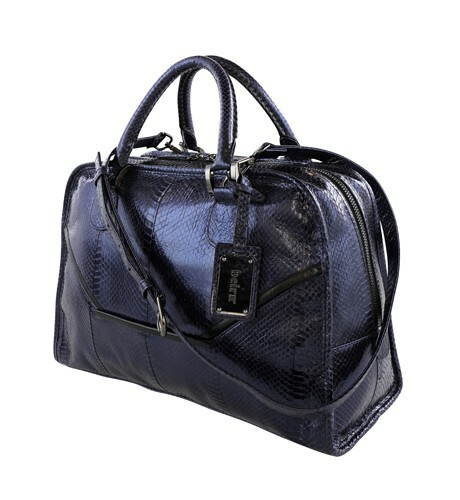 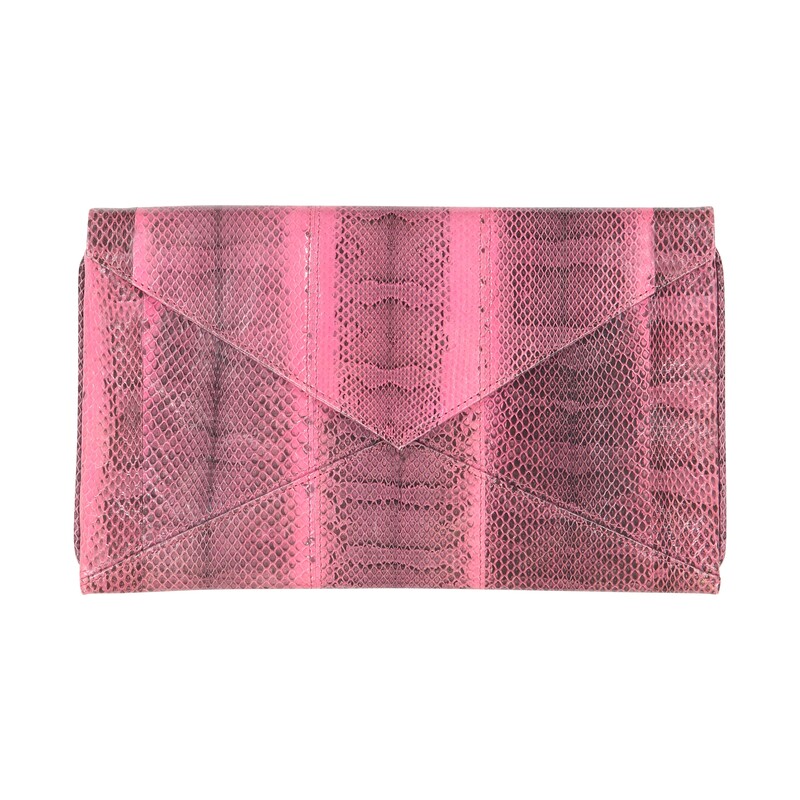 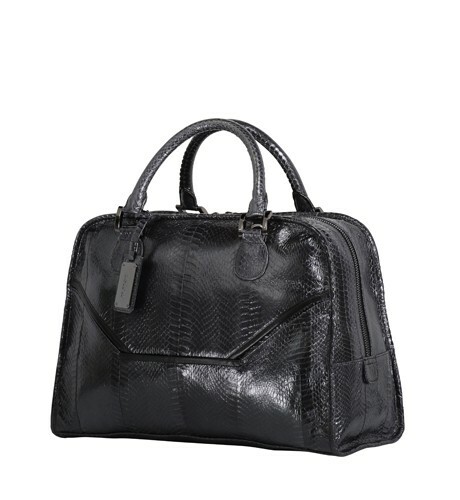 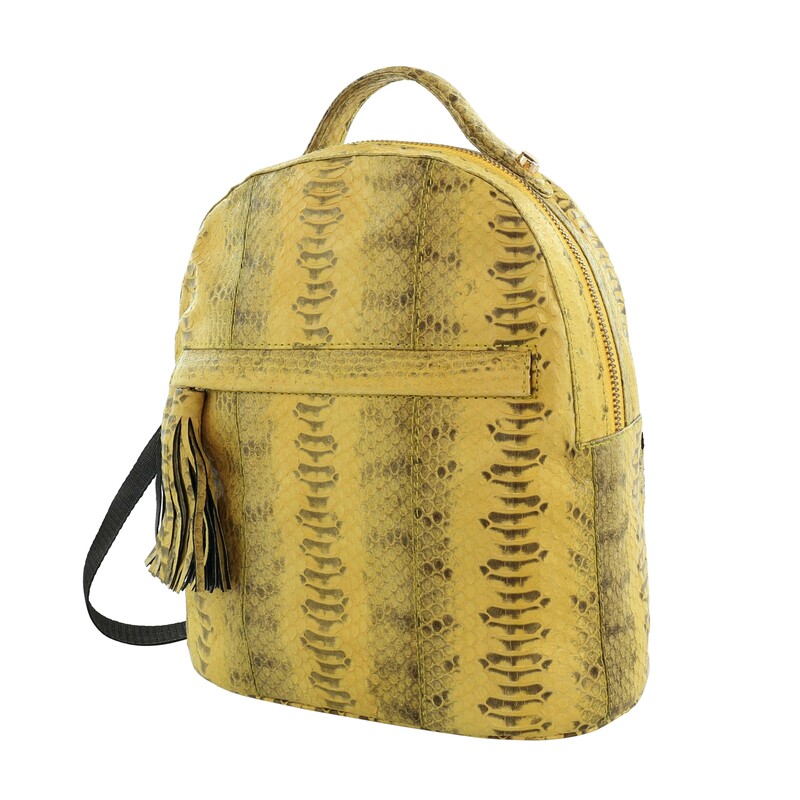 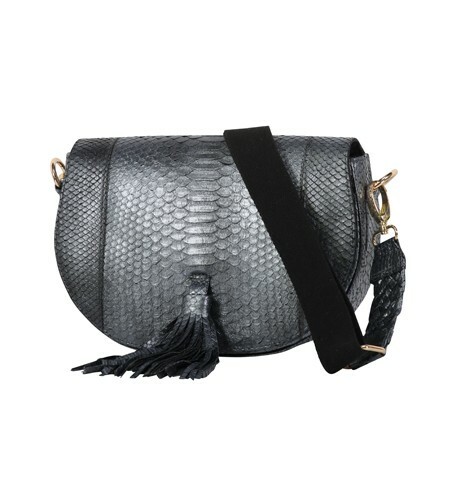 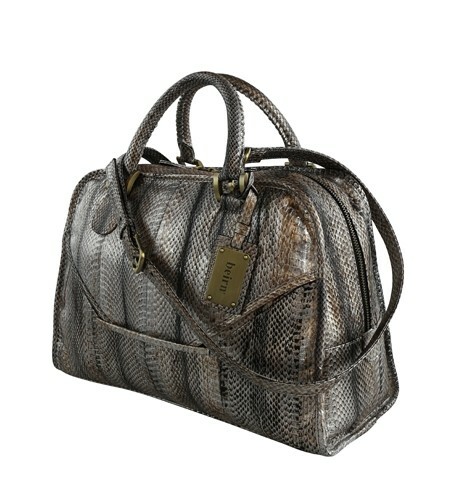 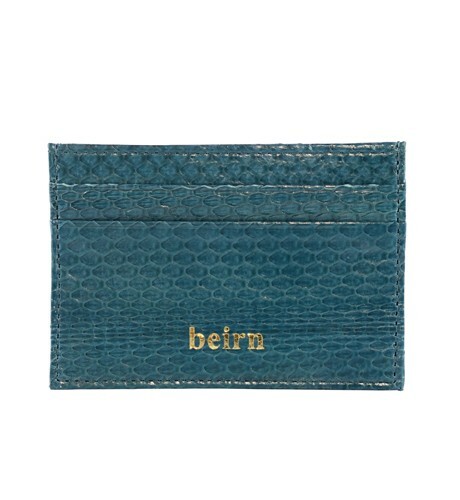 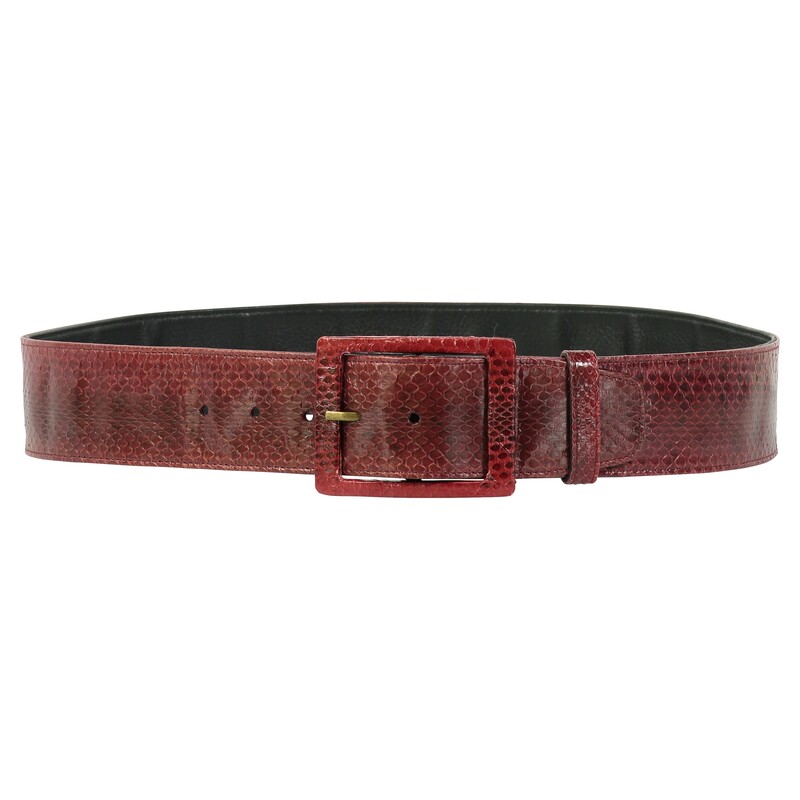 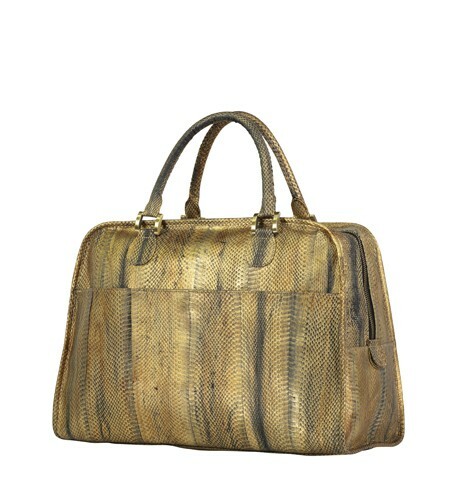 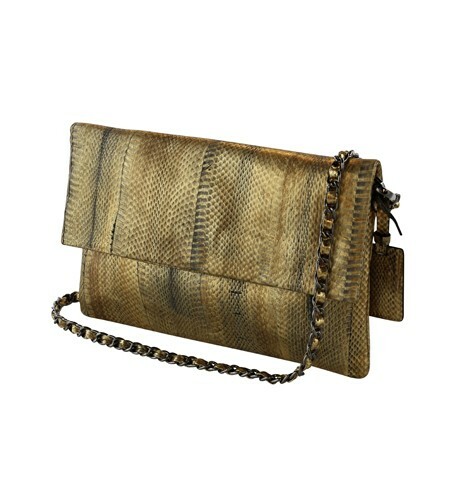 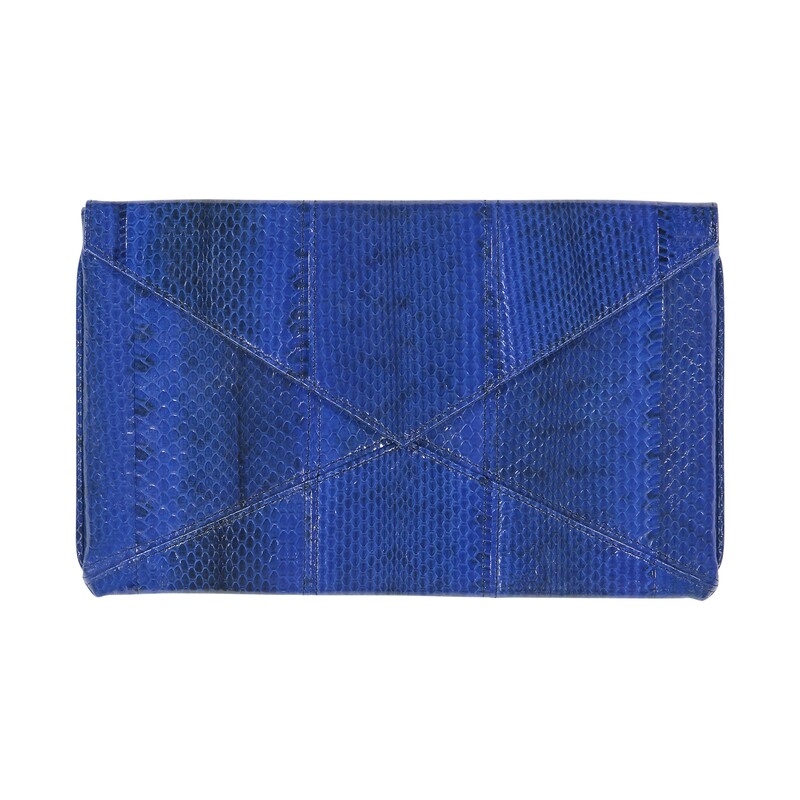 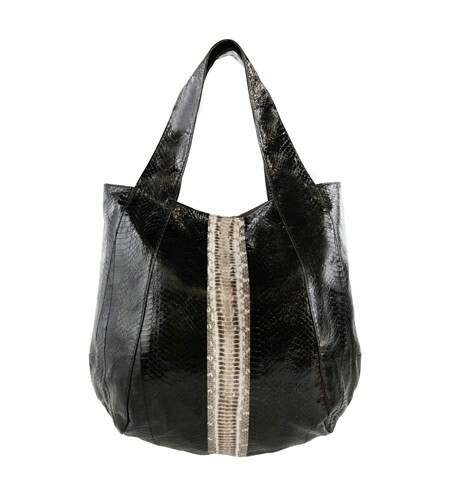 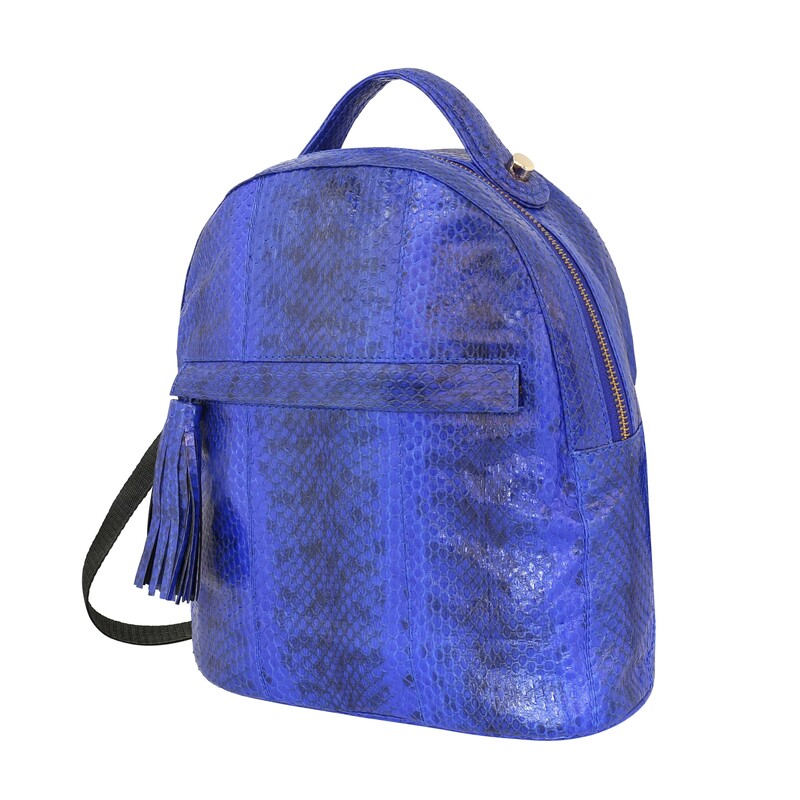 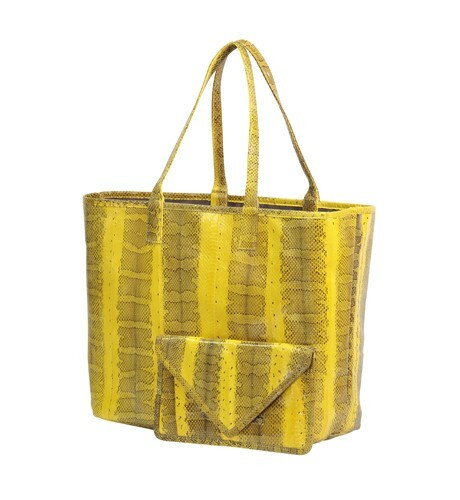 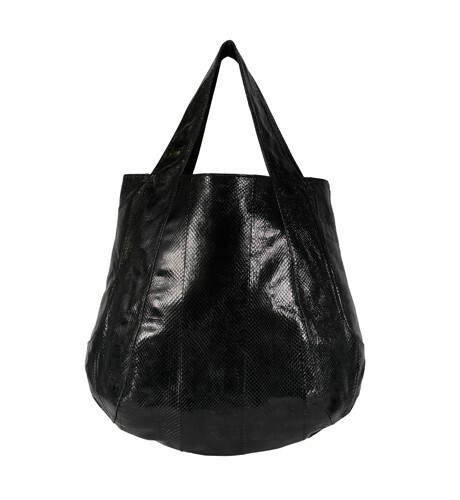 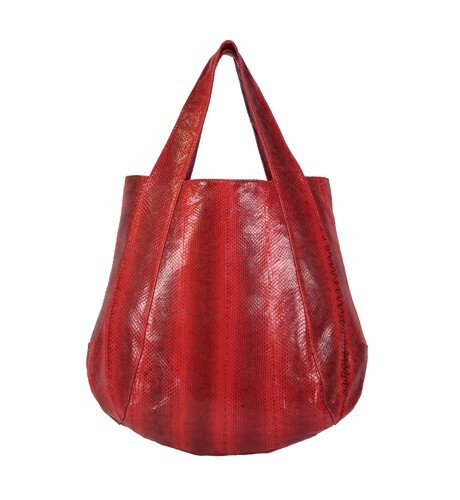 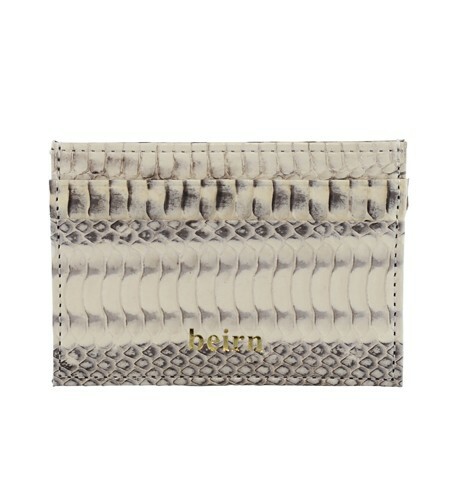 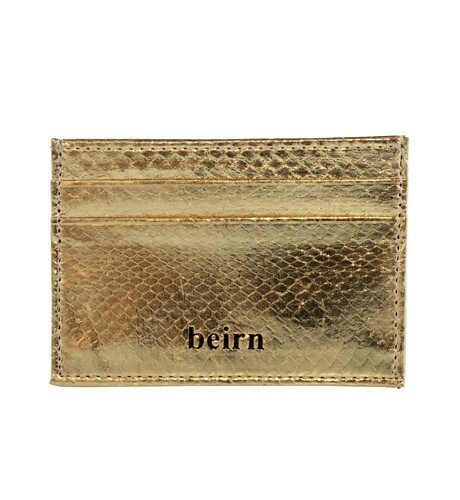 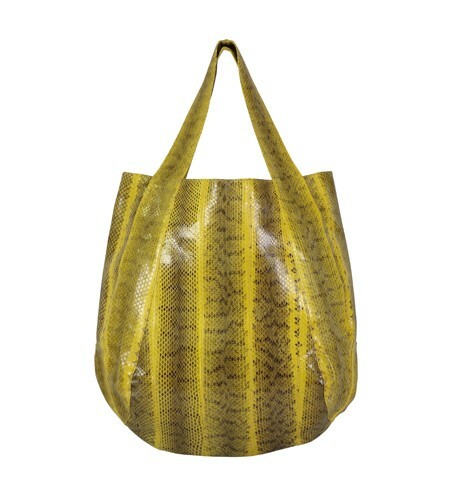 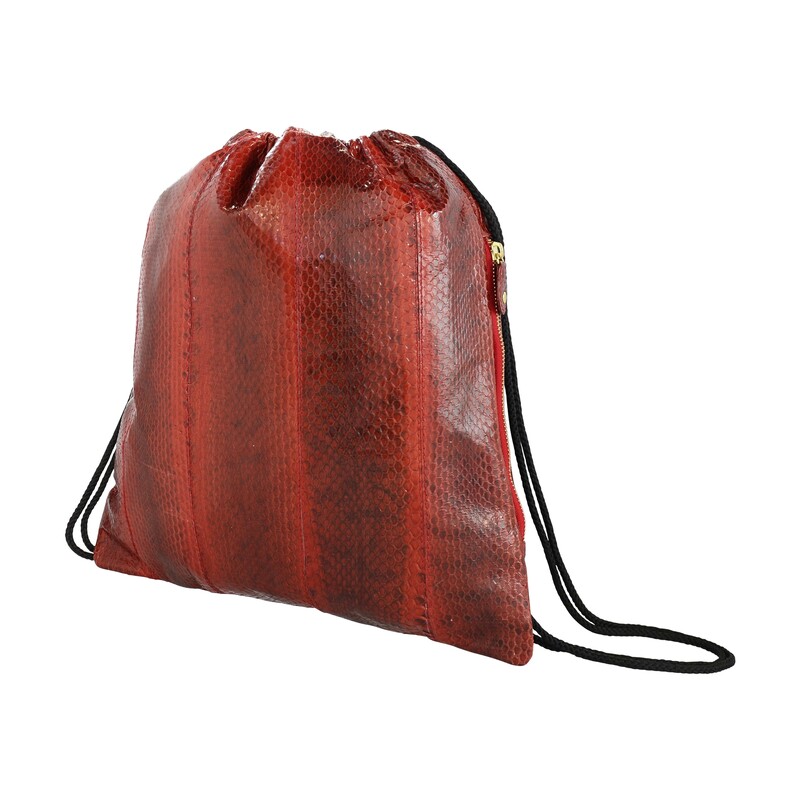 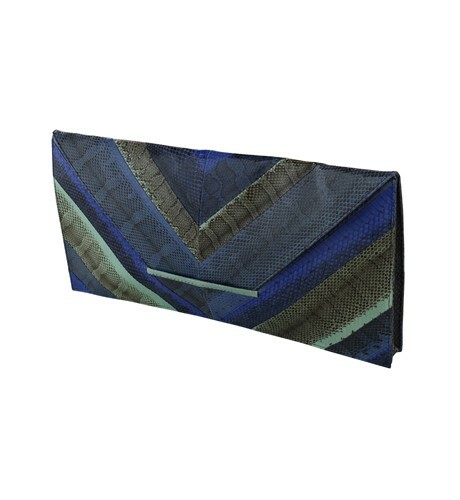 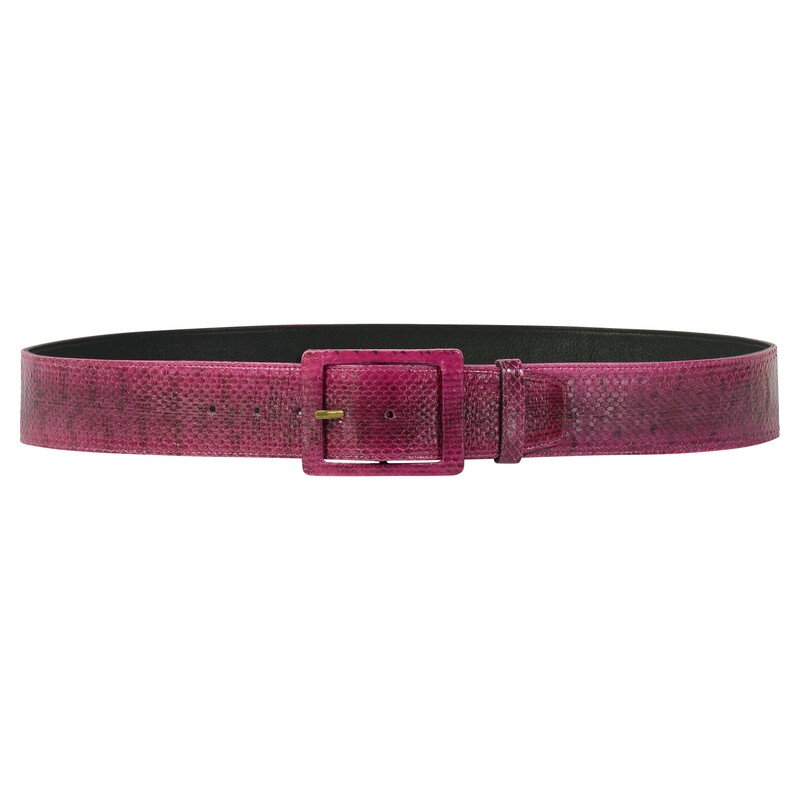 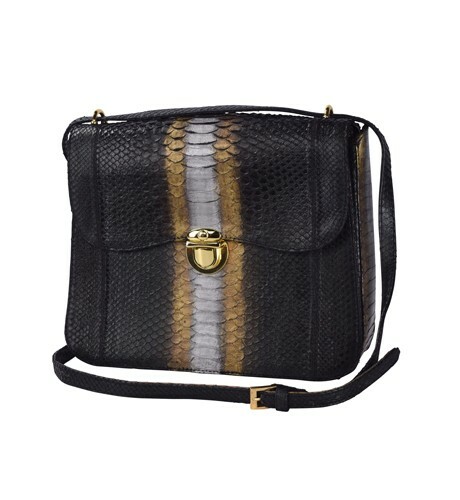 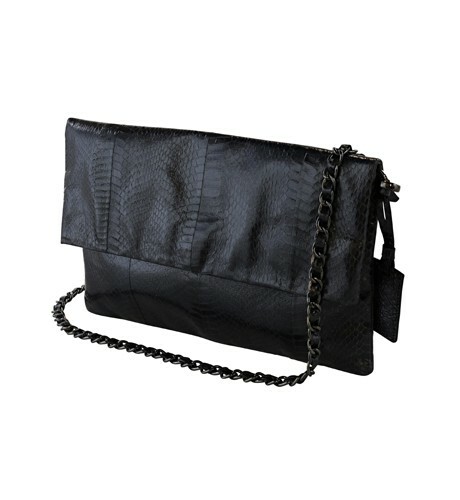 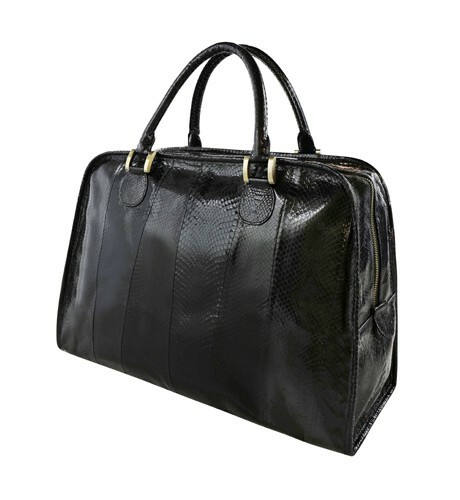 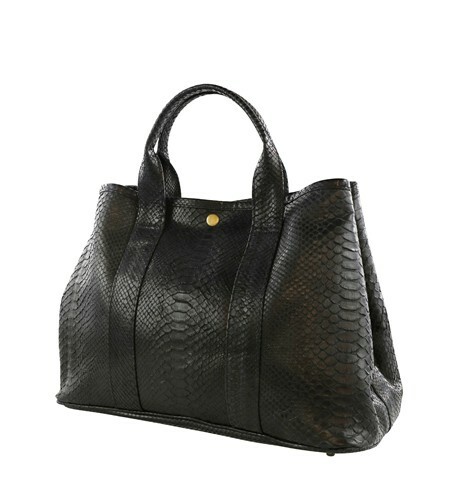 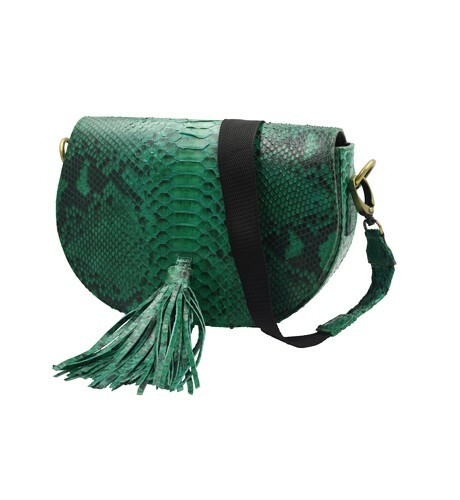 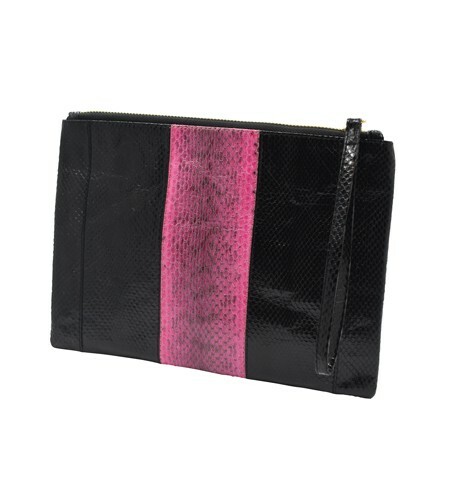 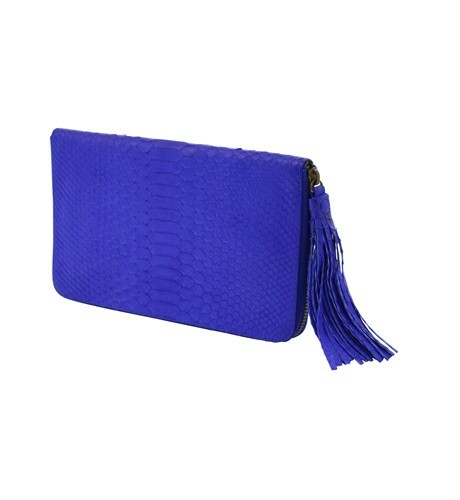 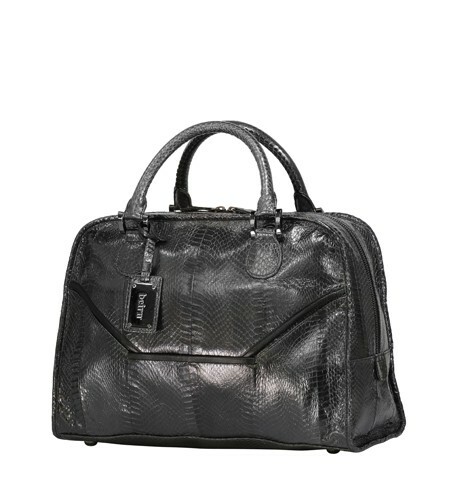 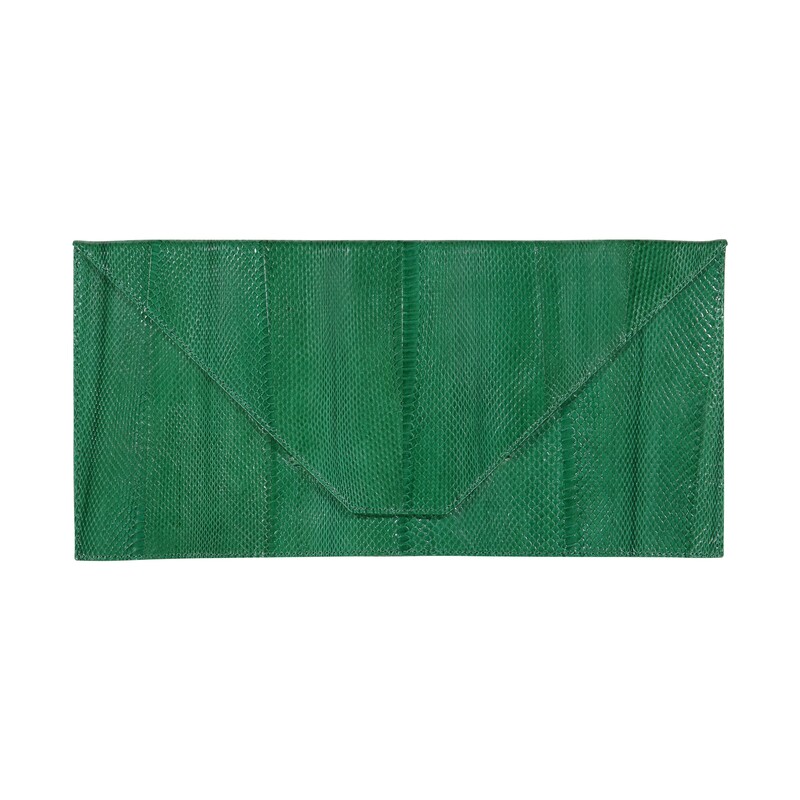 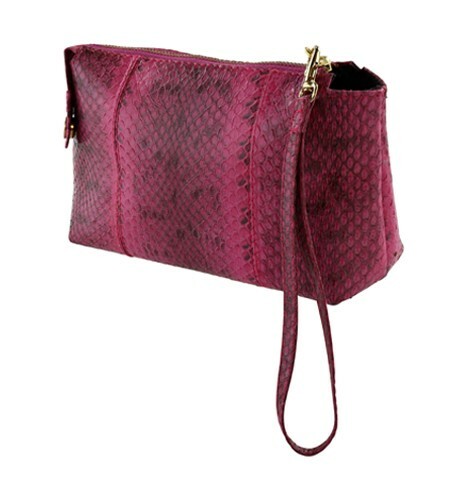 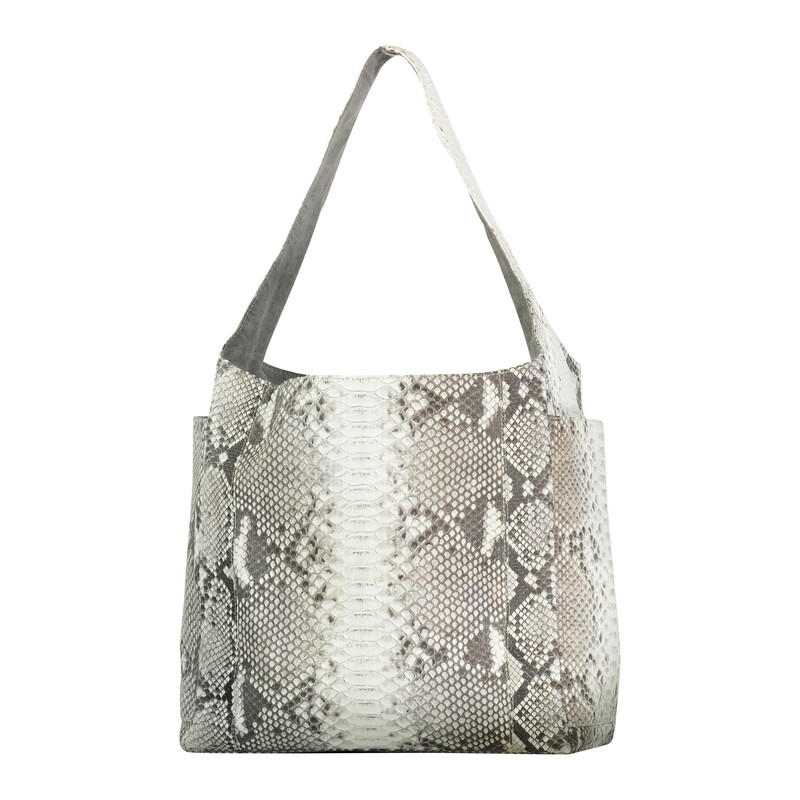 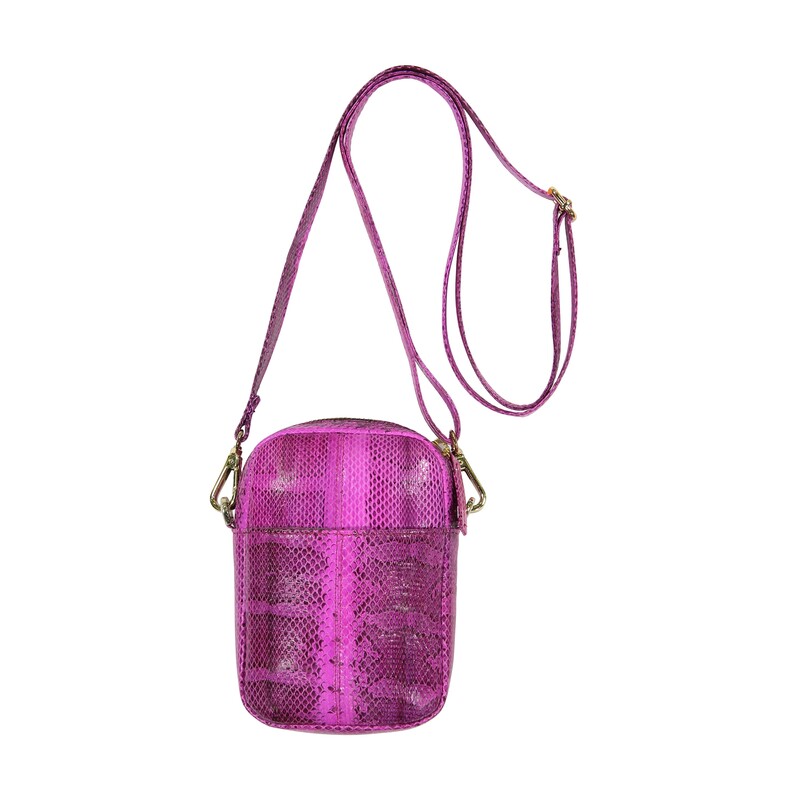 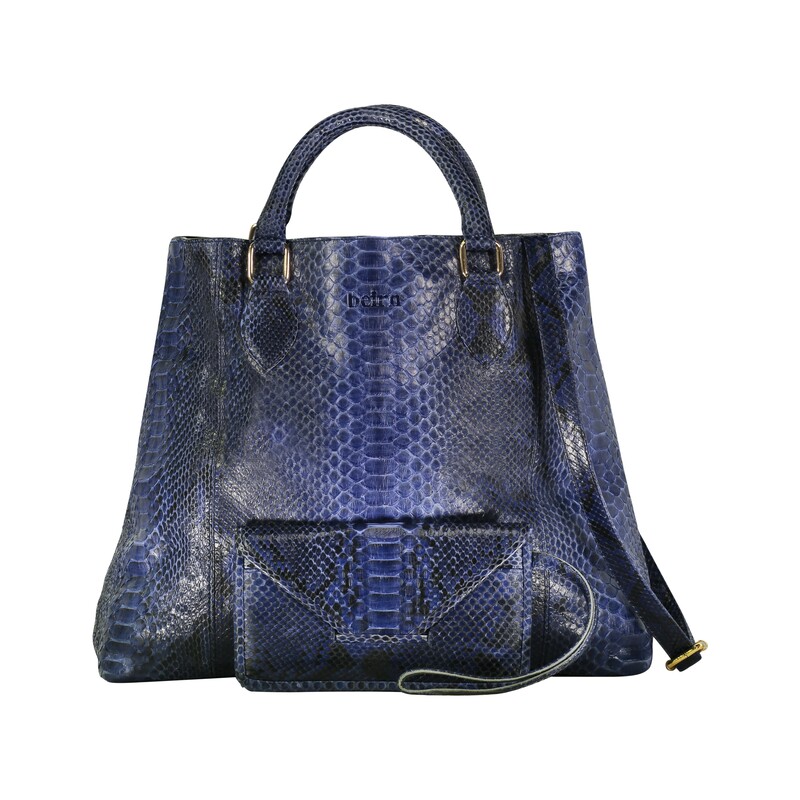 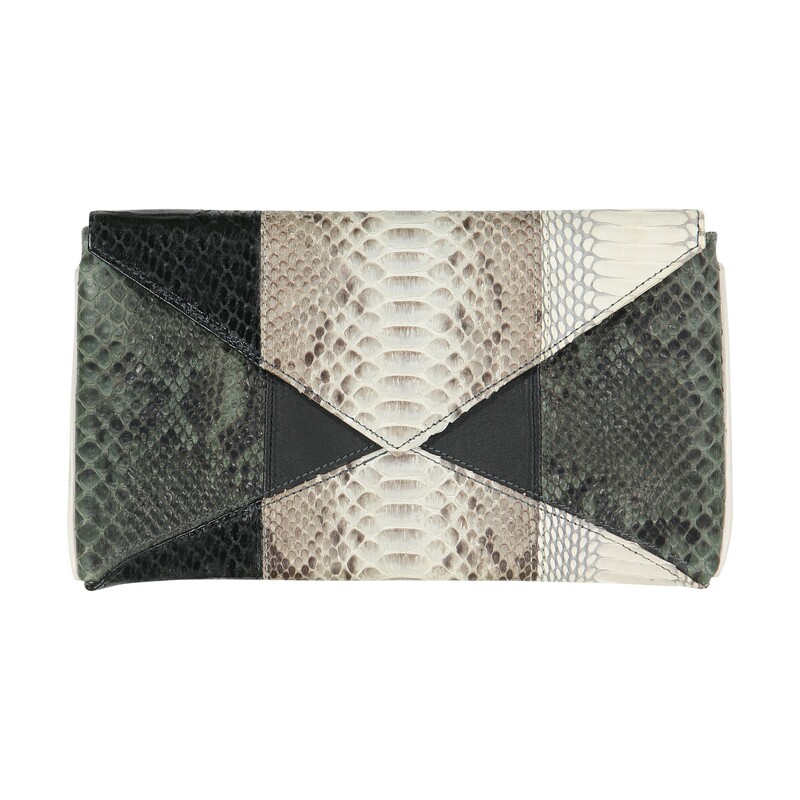 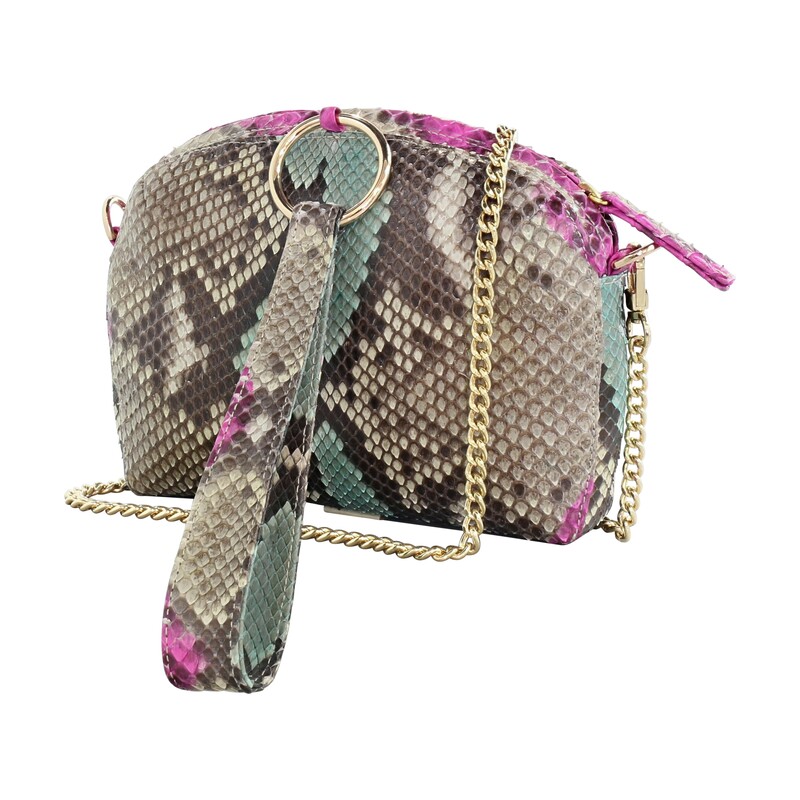 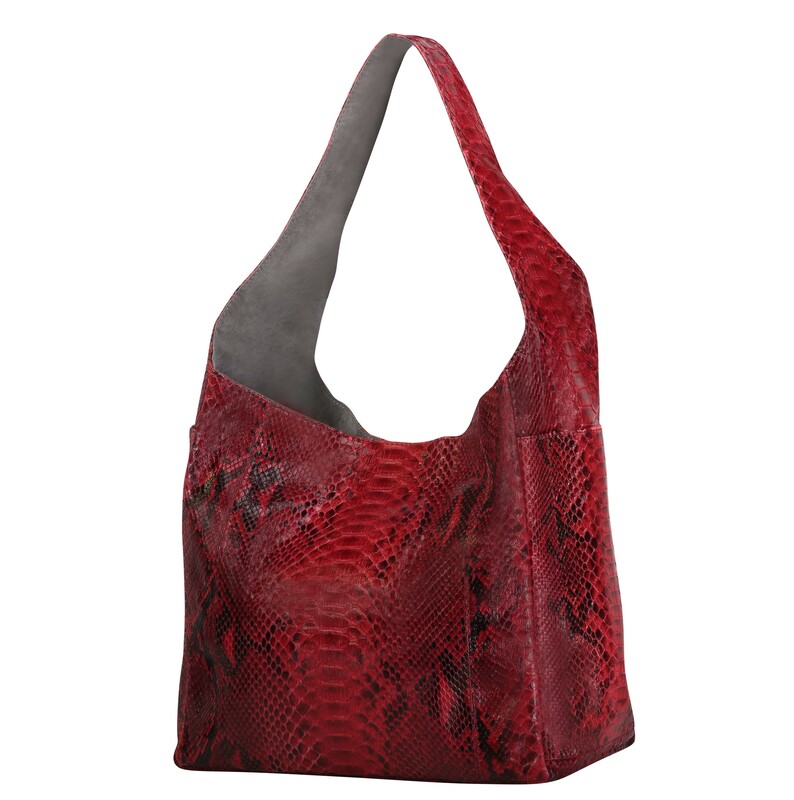 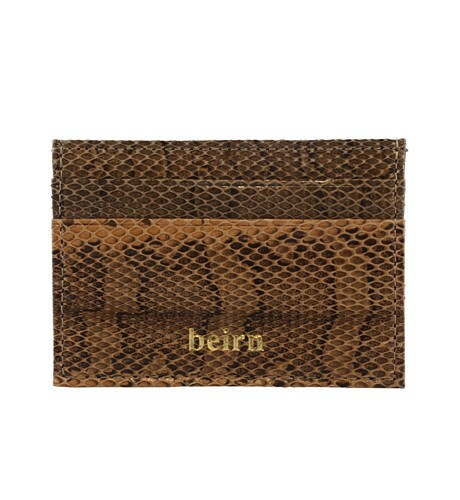 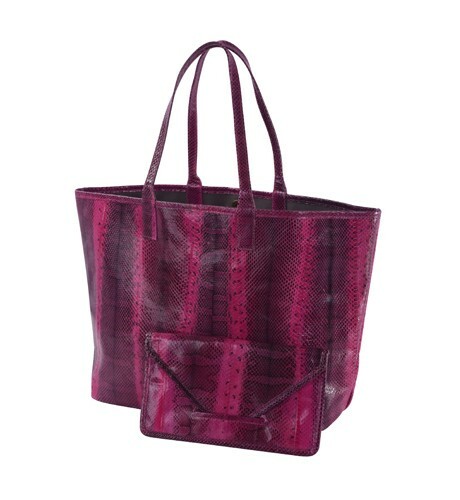 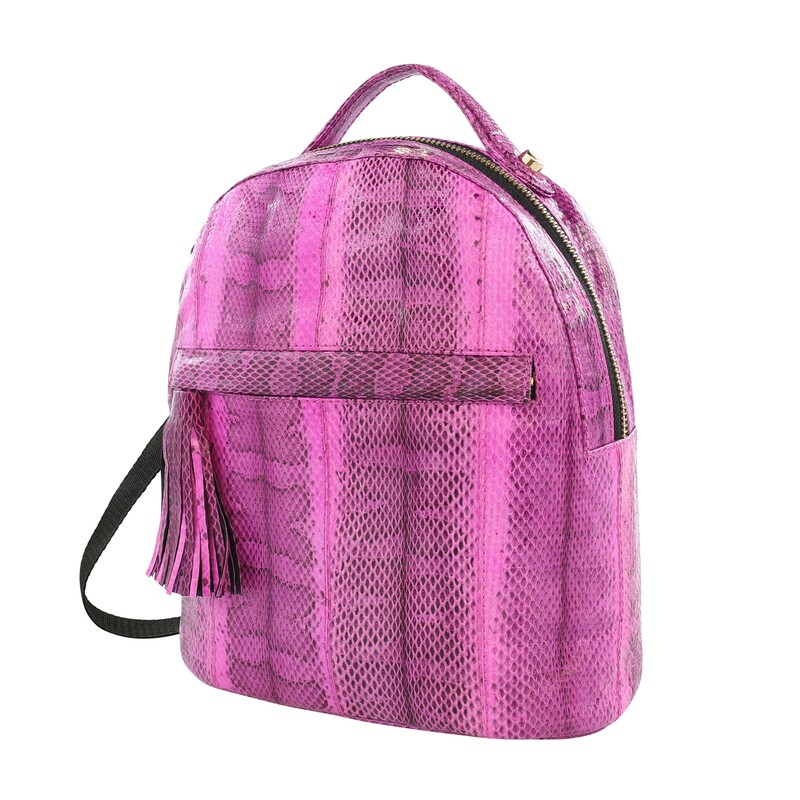 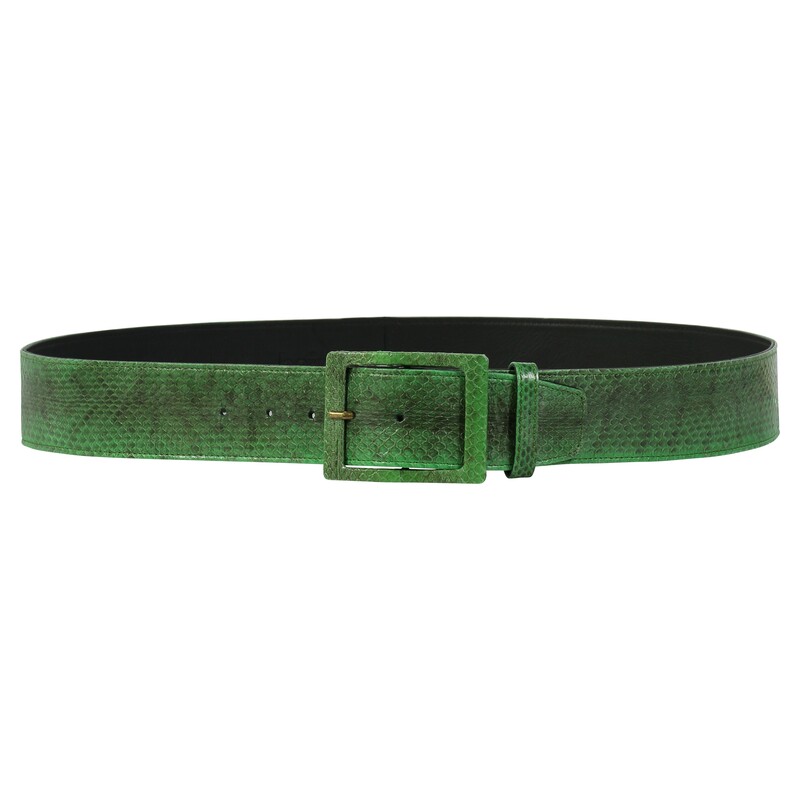 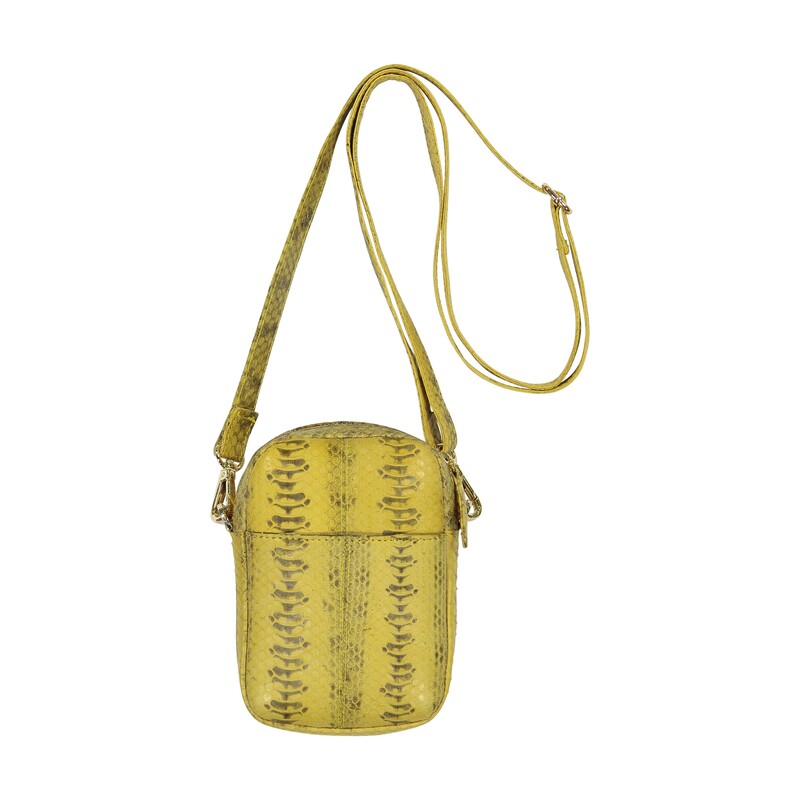 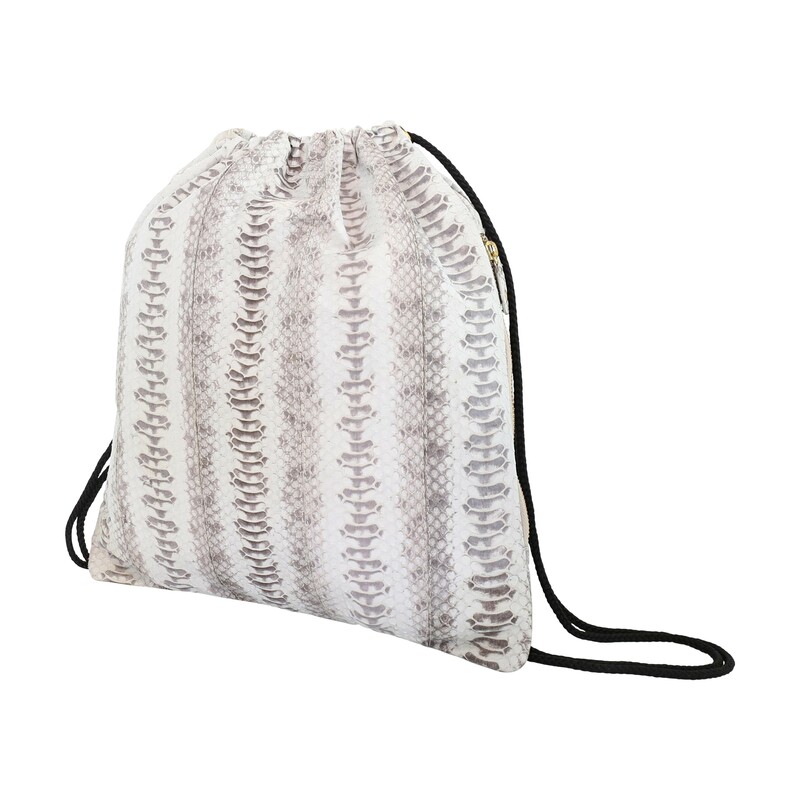 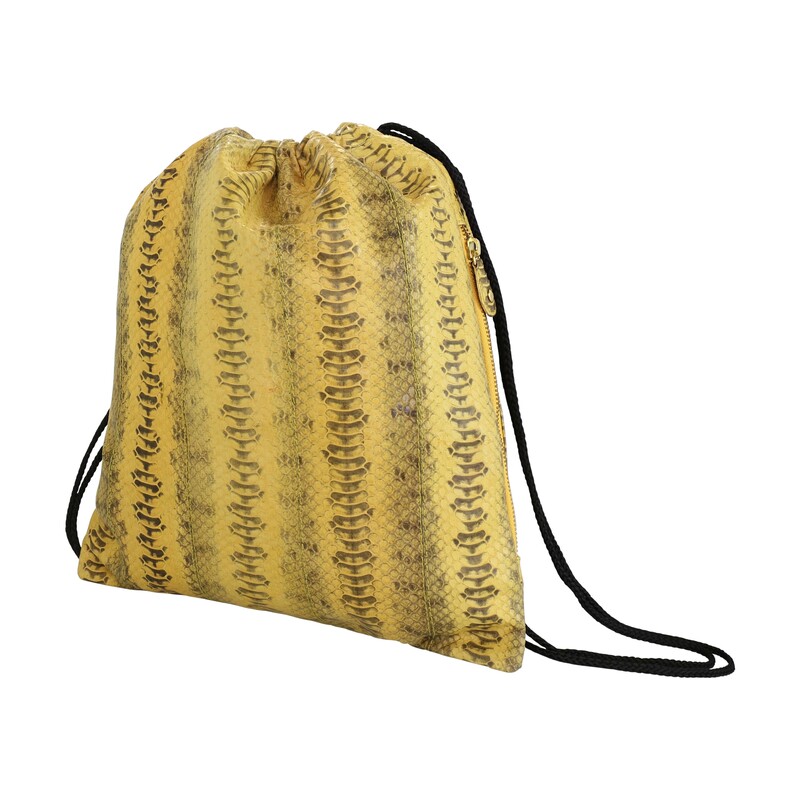 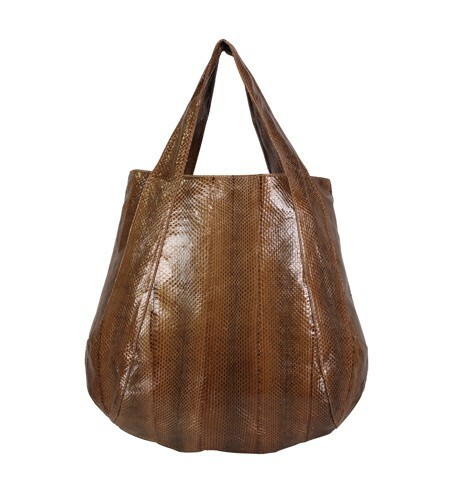 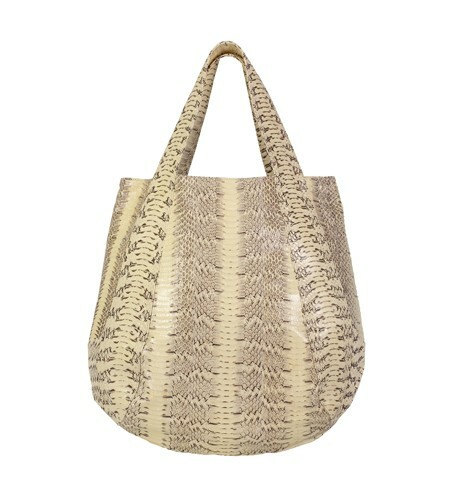 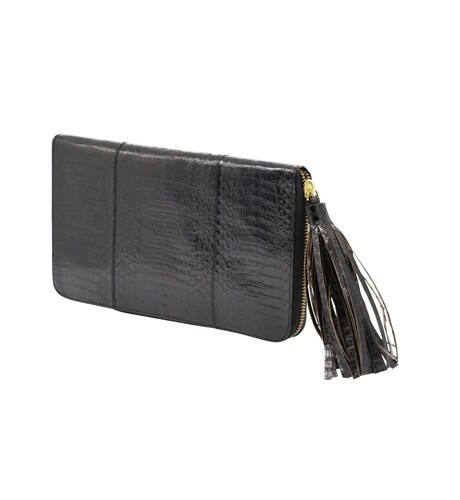 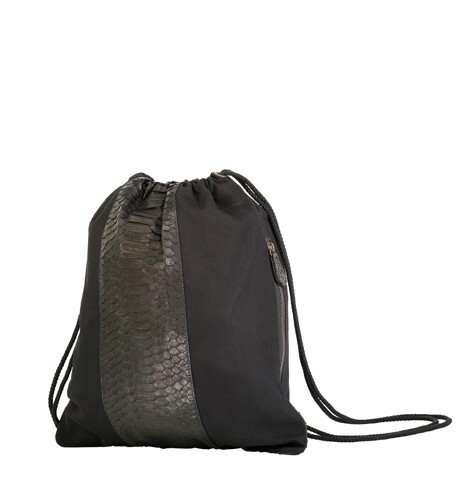 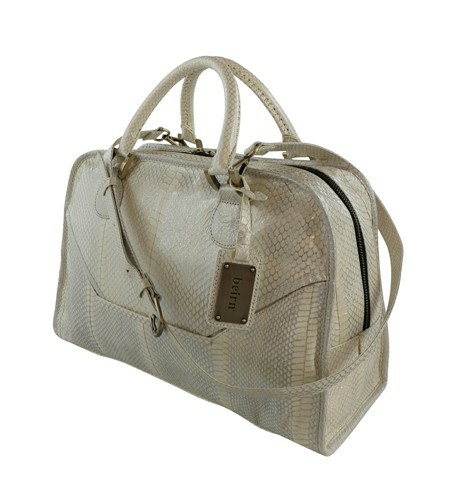 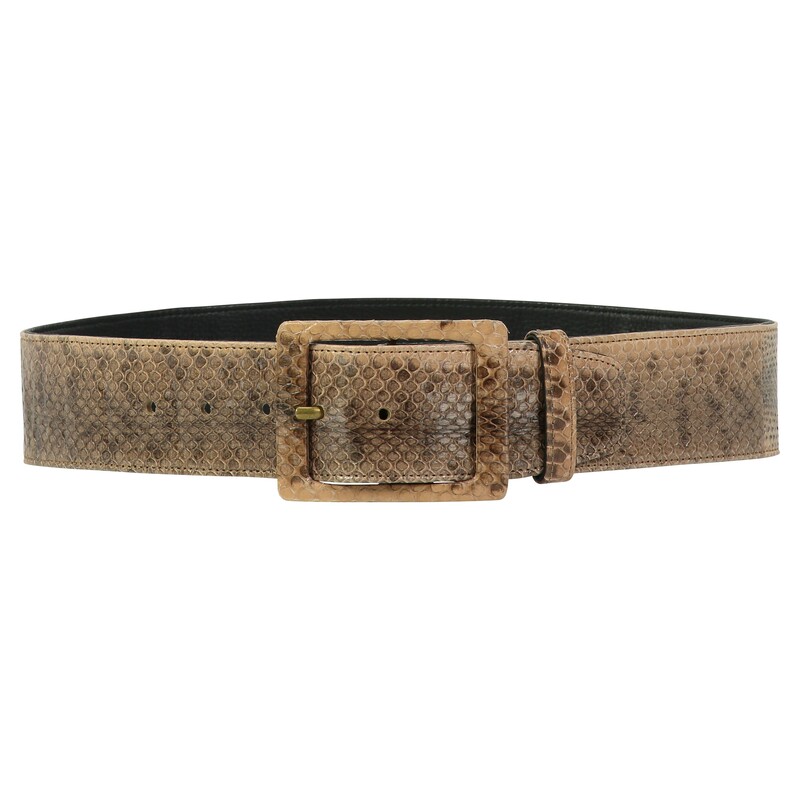 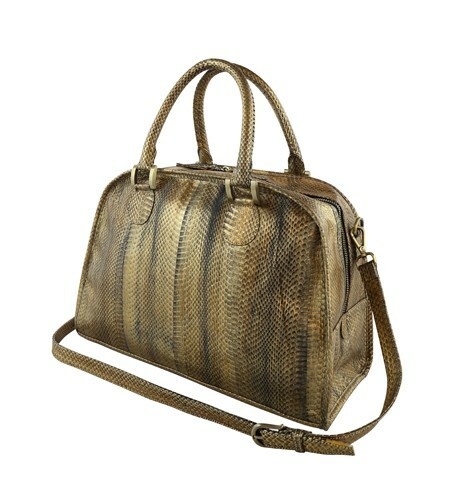 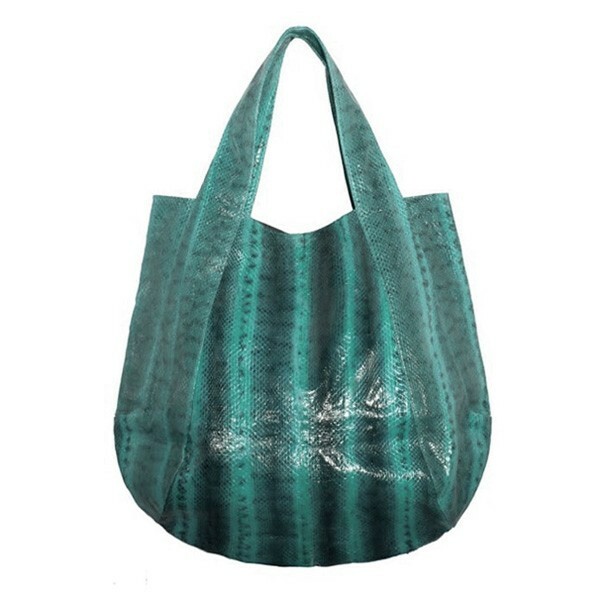 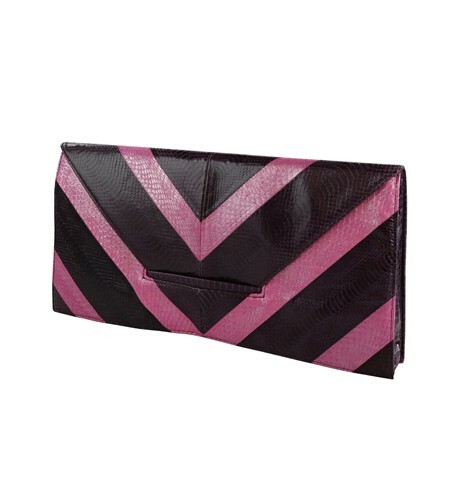 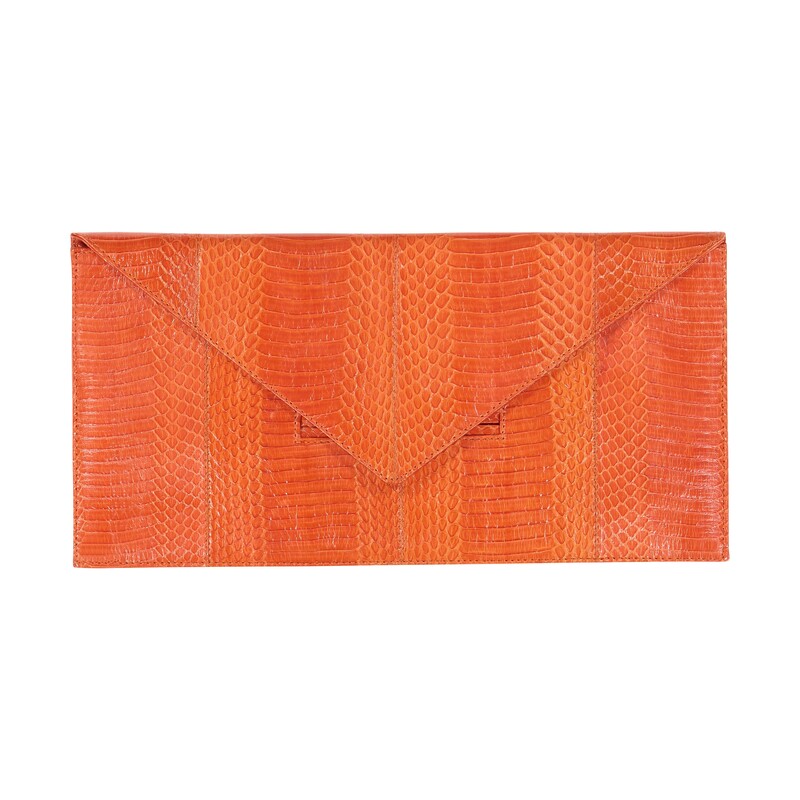 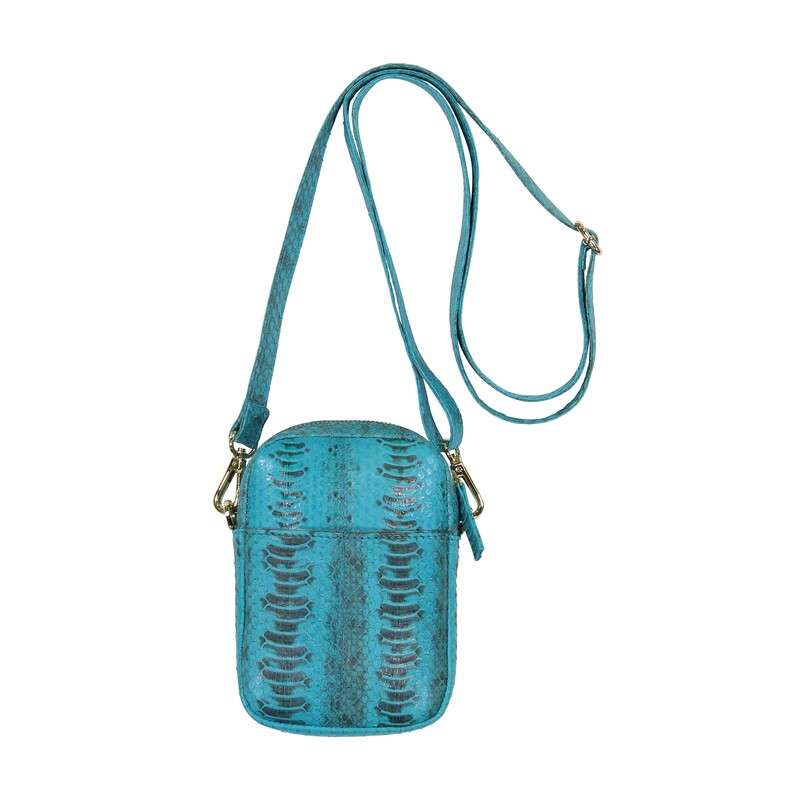 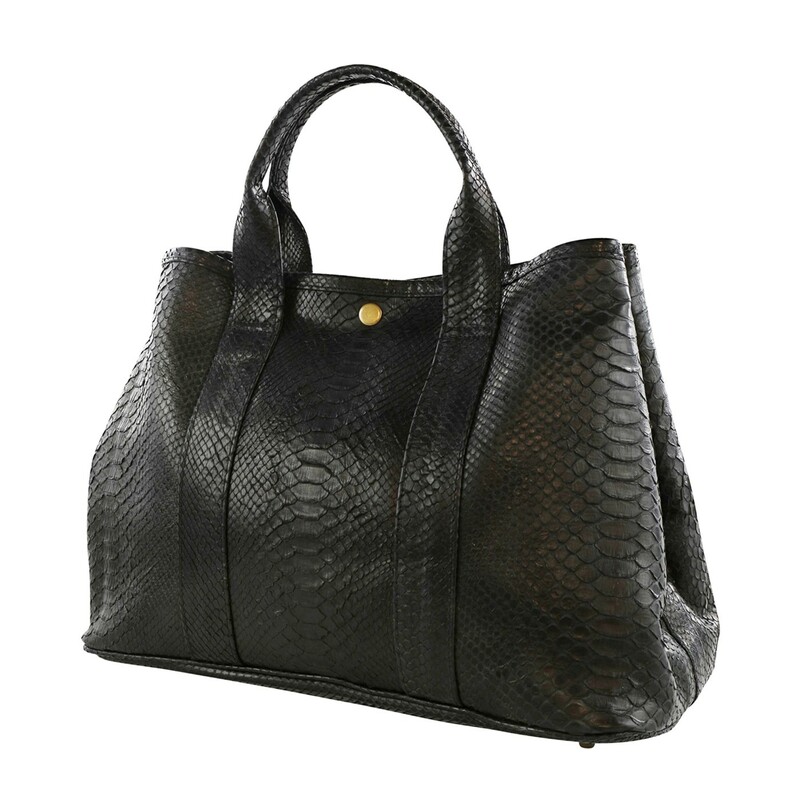 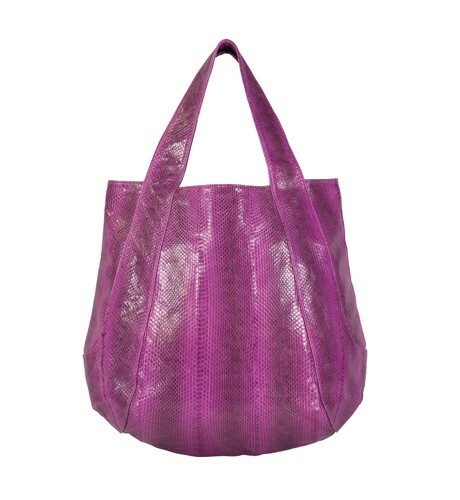 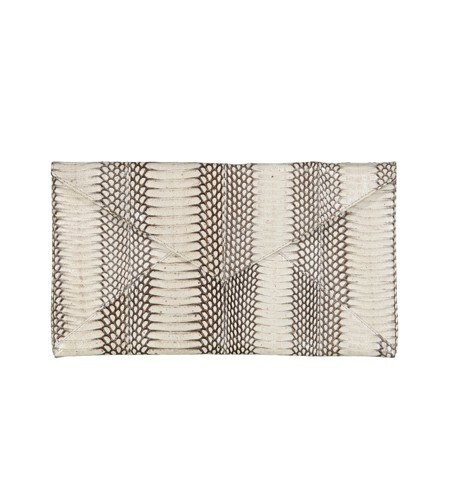 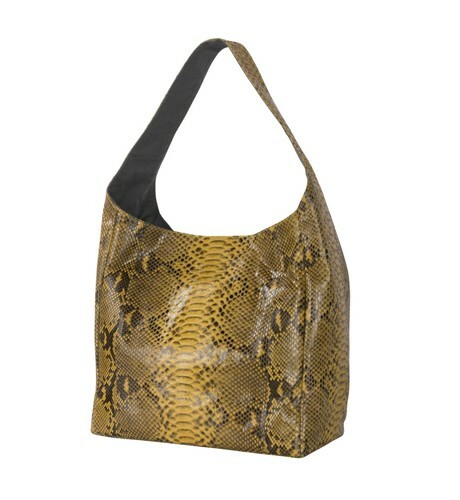 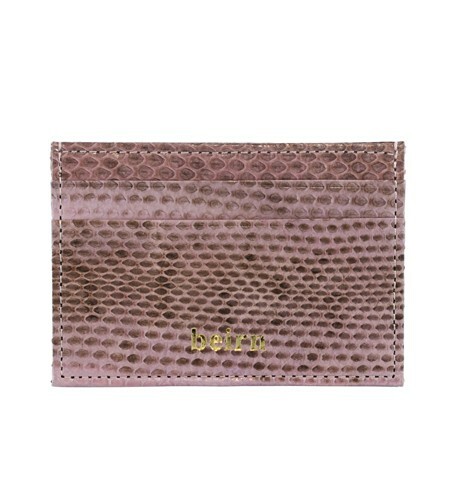 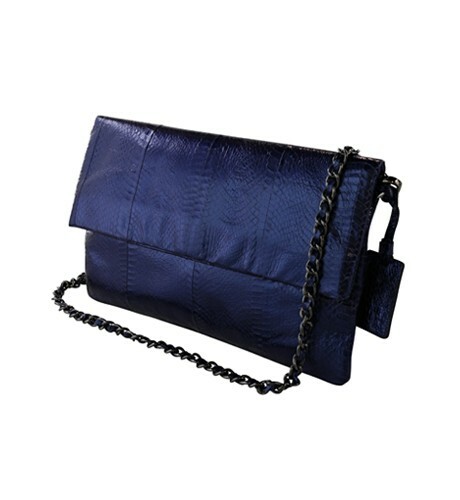 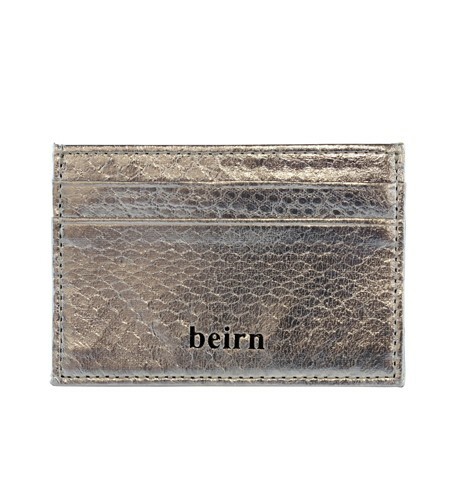 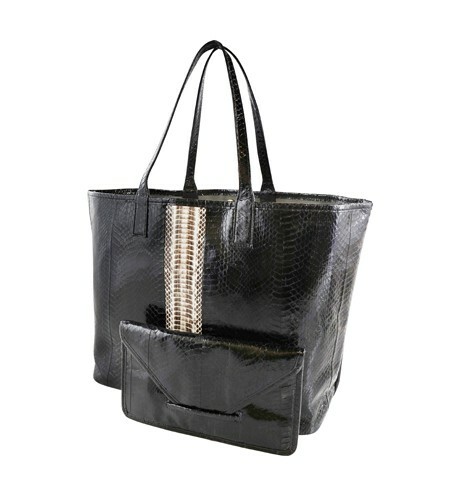 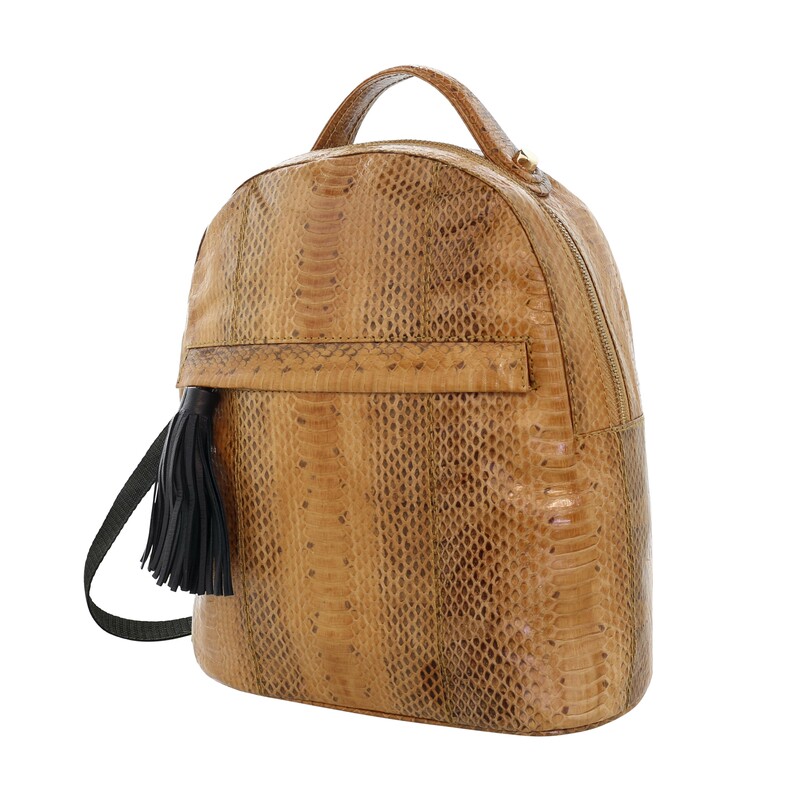 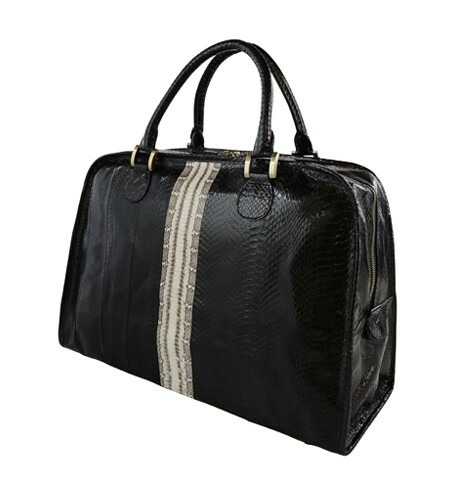 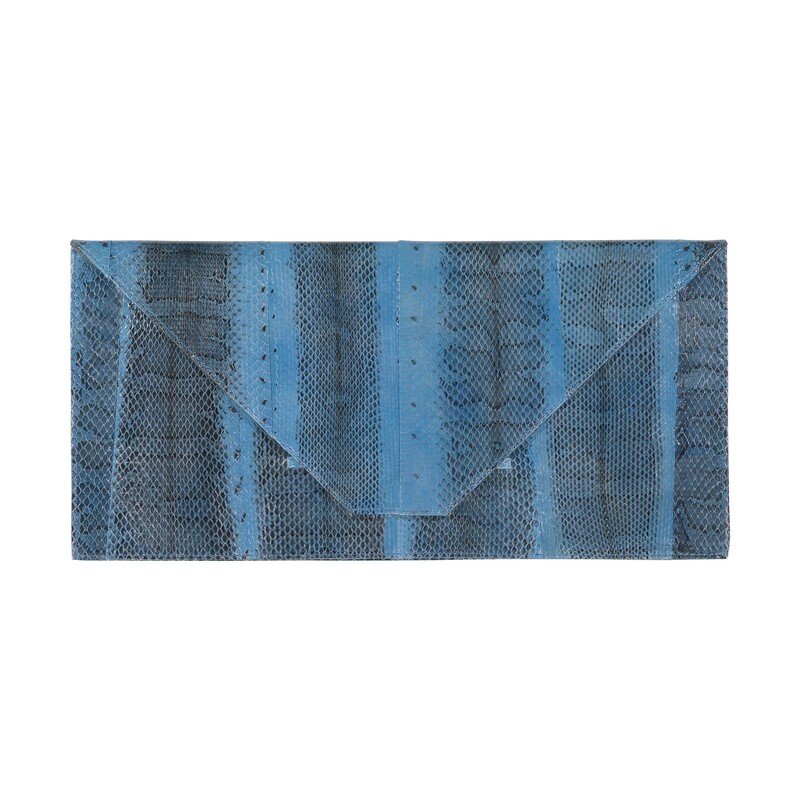 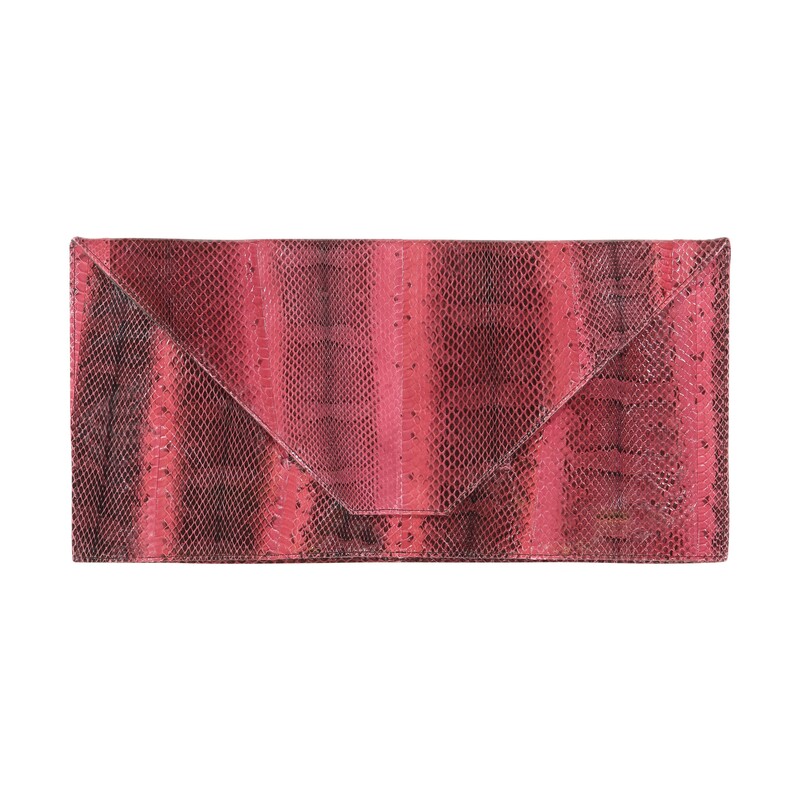 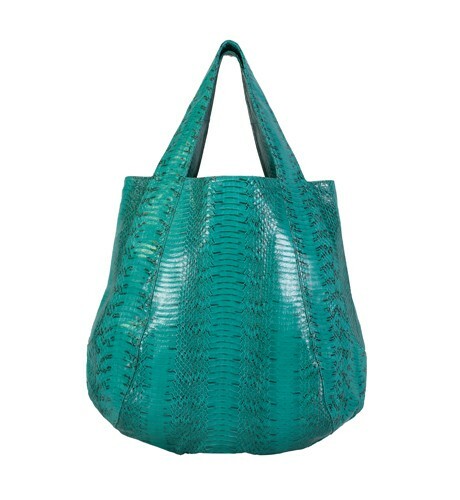 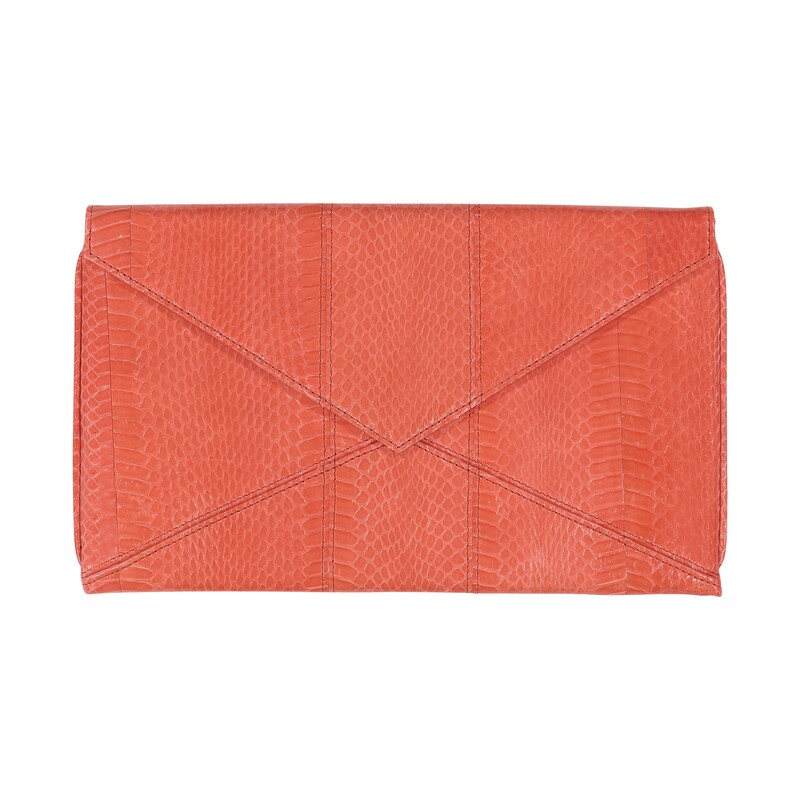 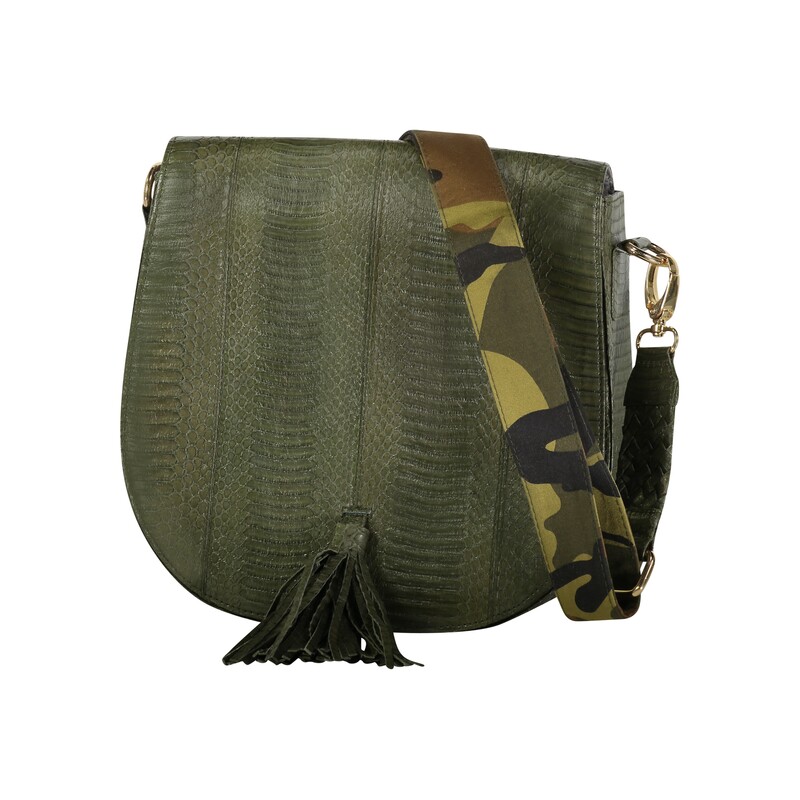 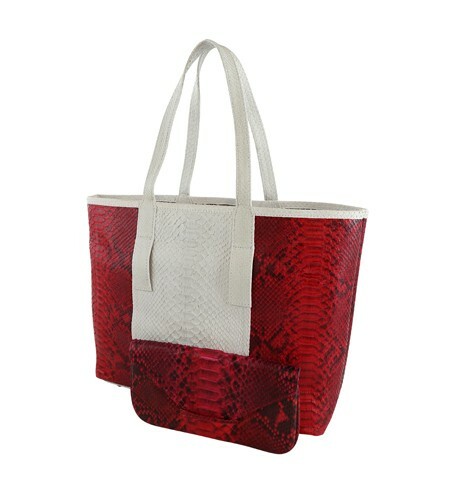 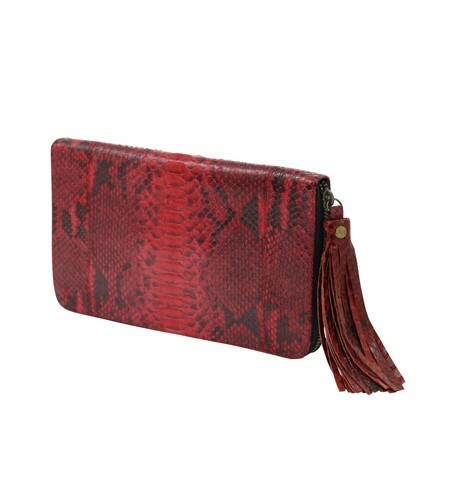 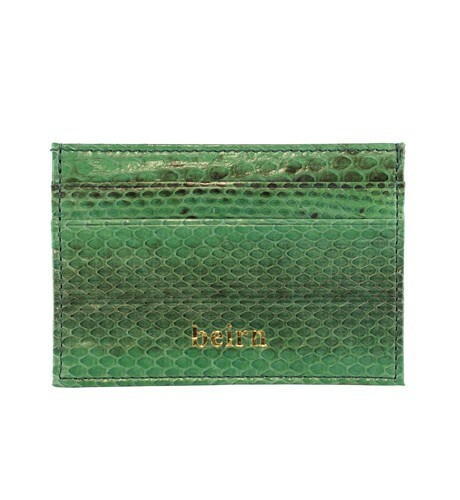 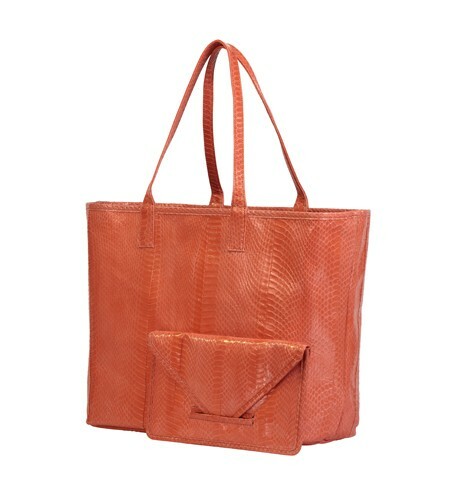 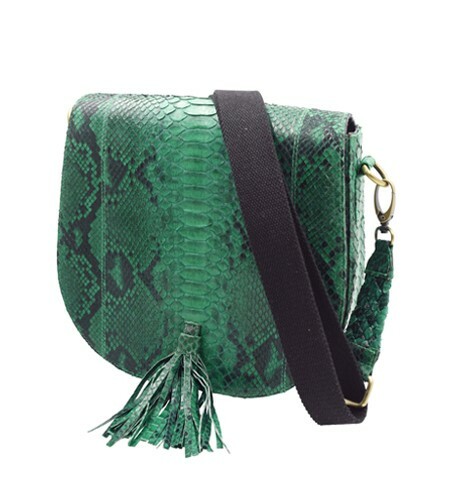 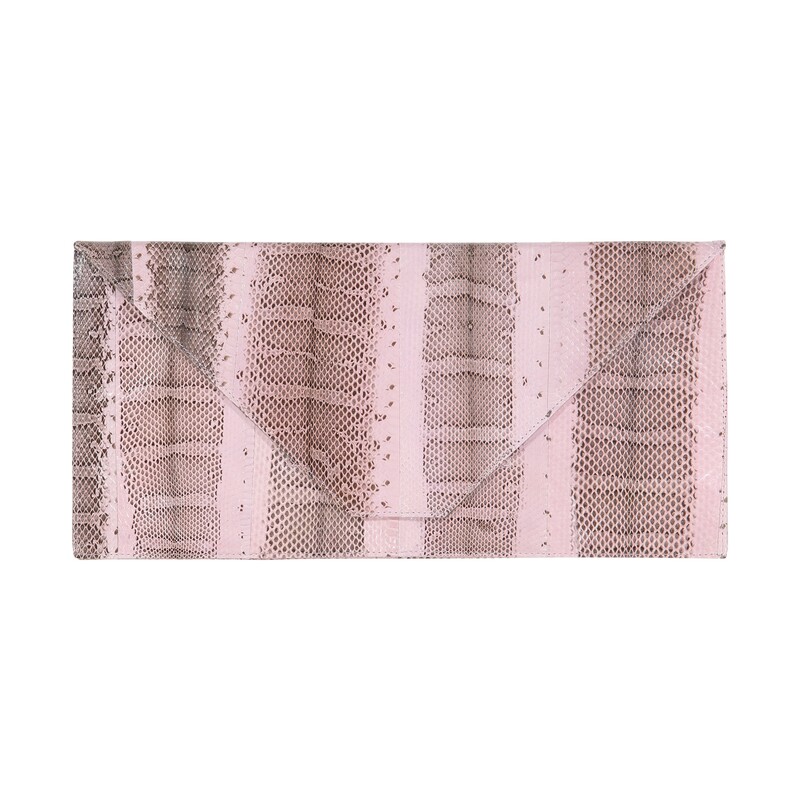 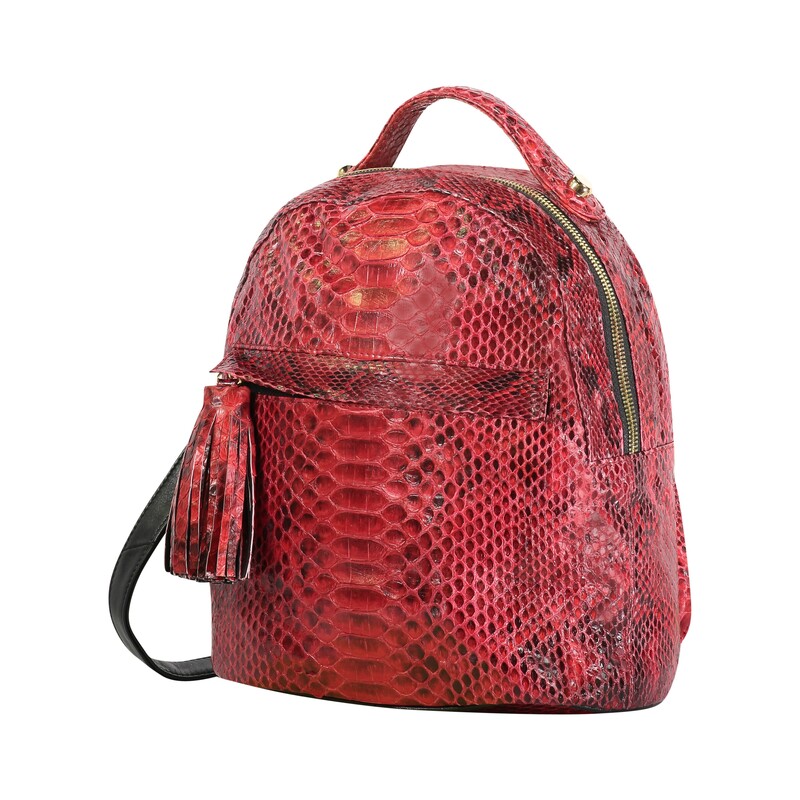 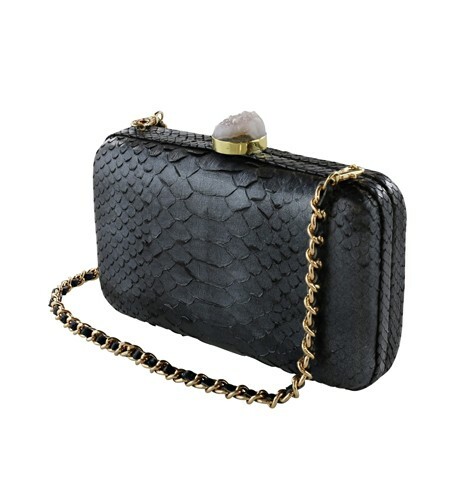 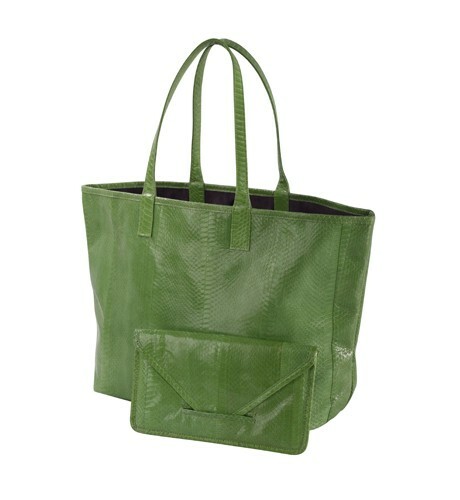 East-west snakeskin doctor bag styled handbag. 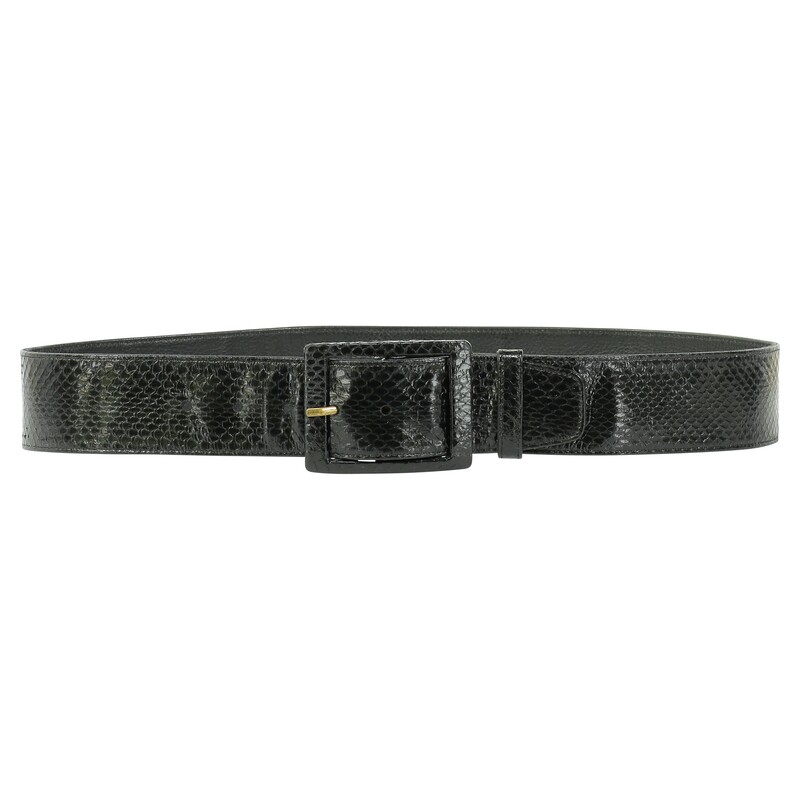 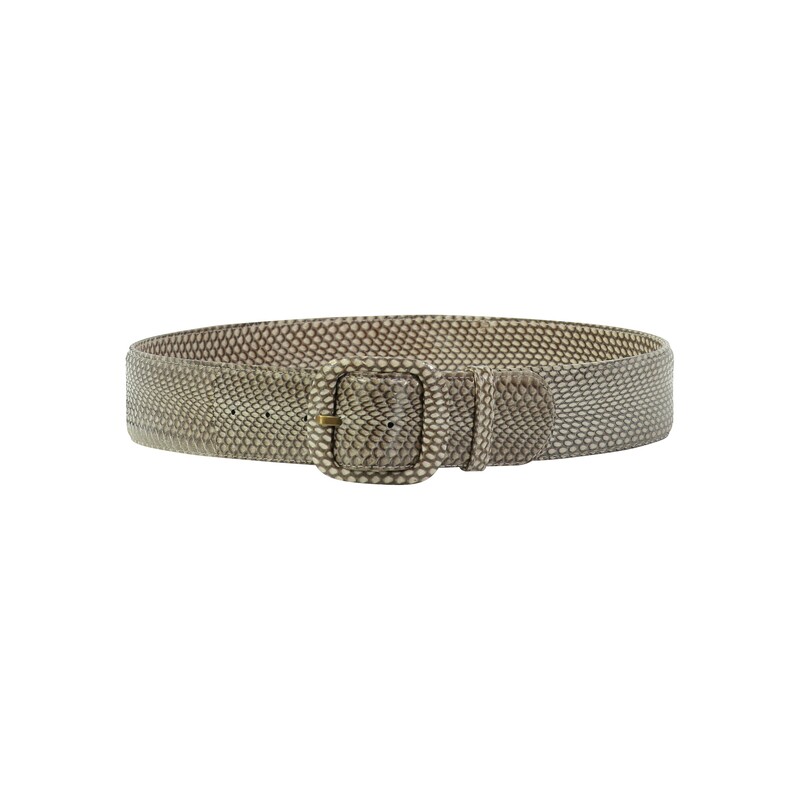 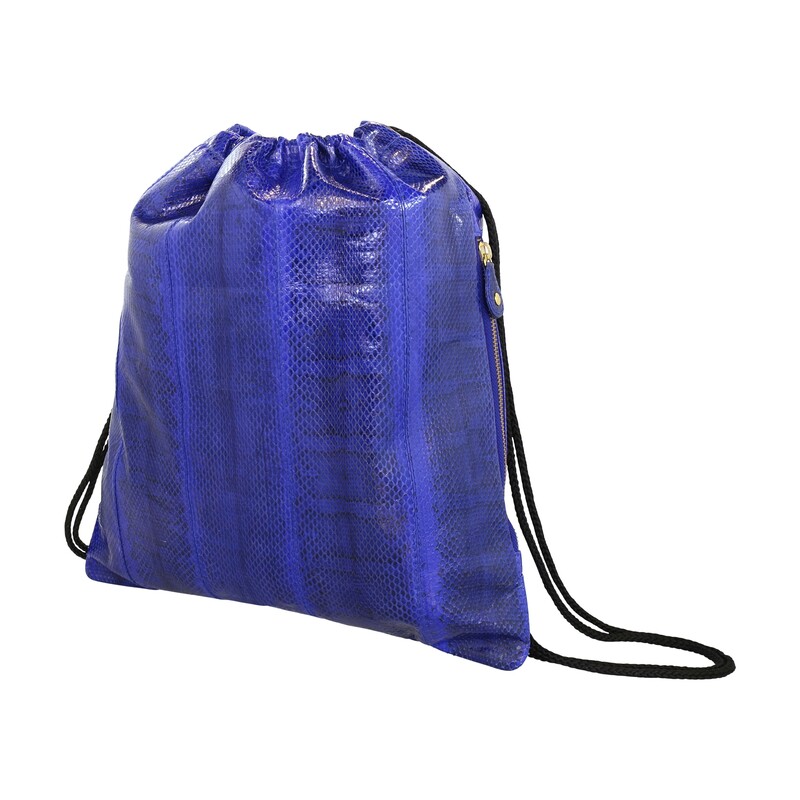 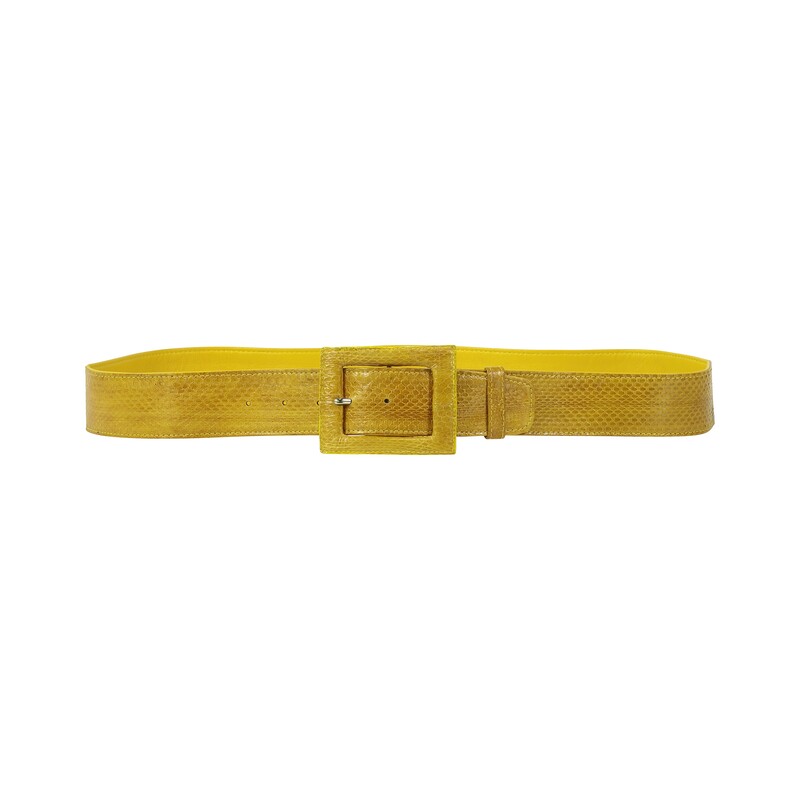 Can be carried in the crook of the arm or handheld. 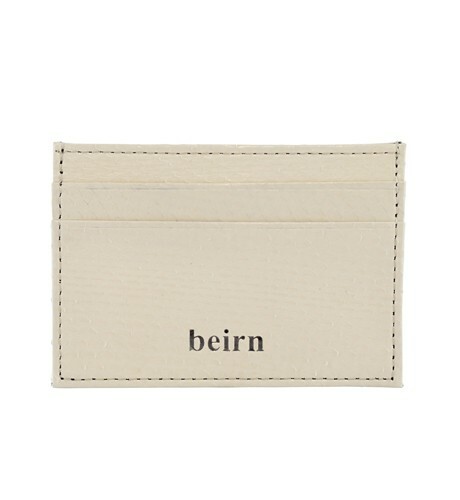 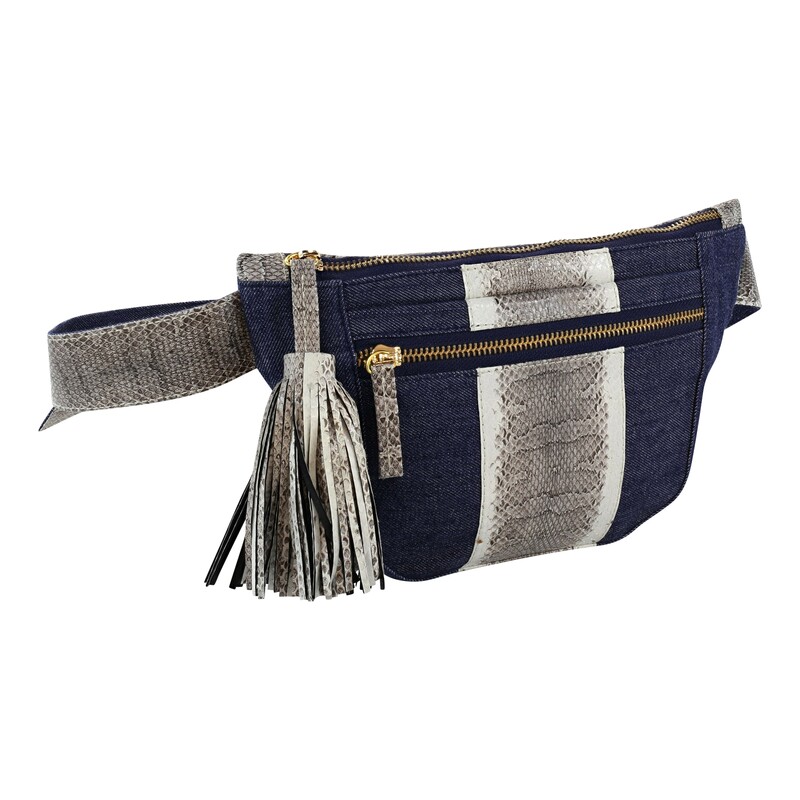 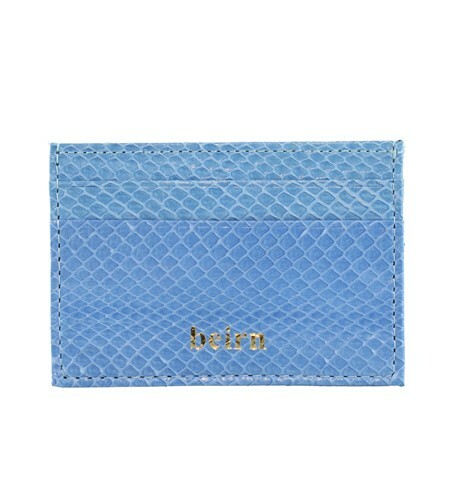 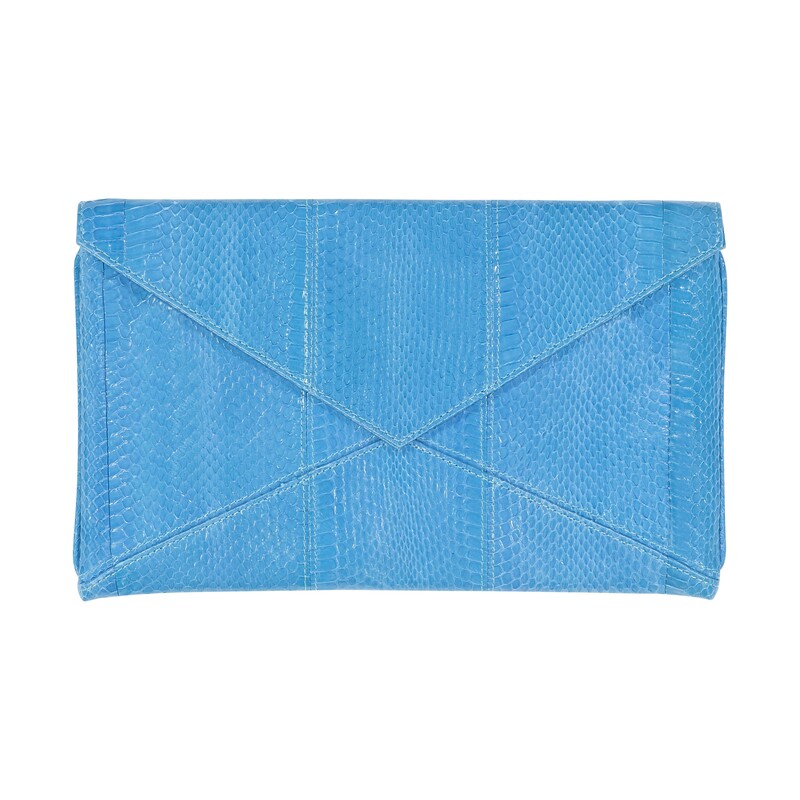 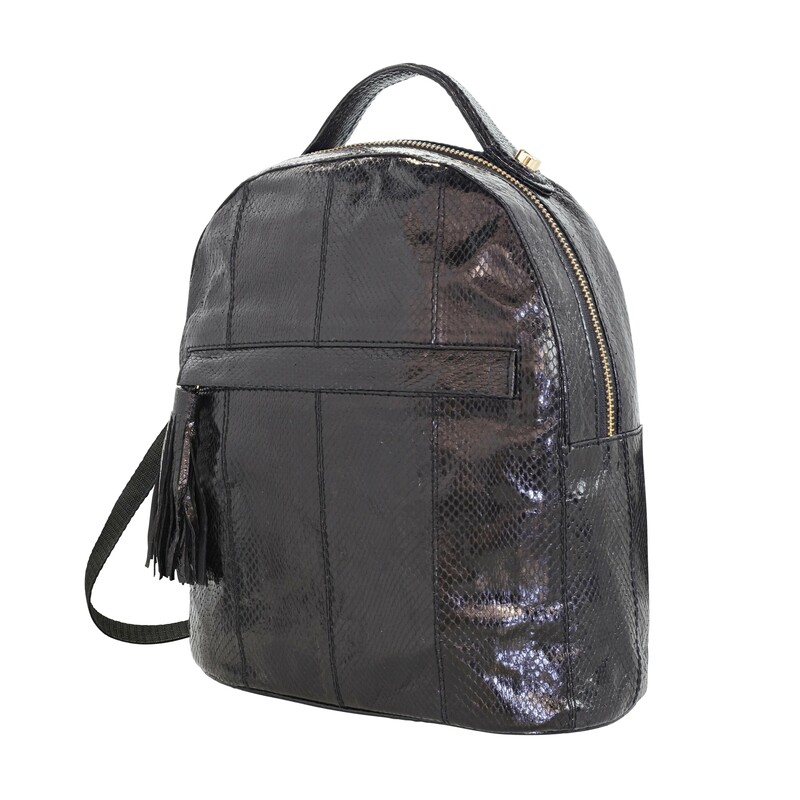 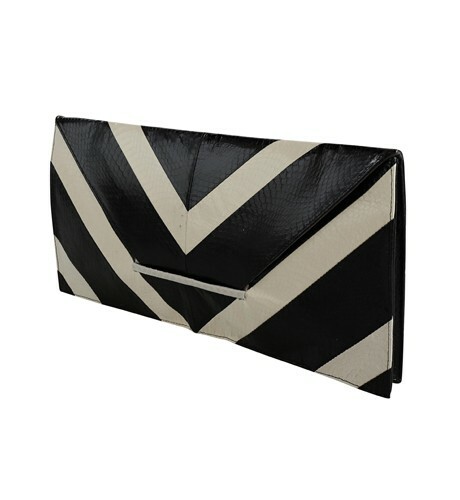 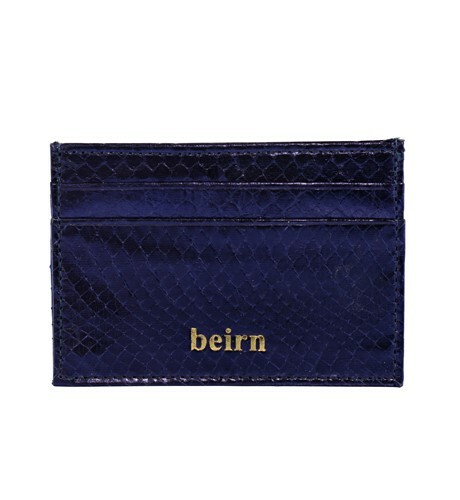 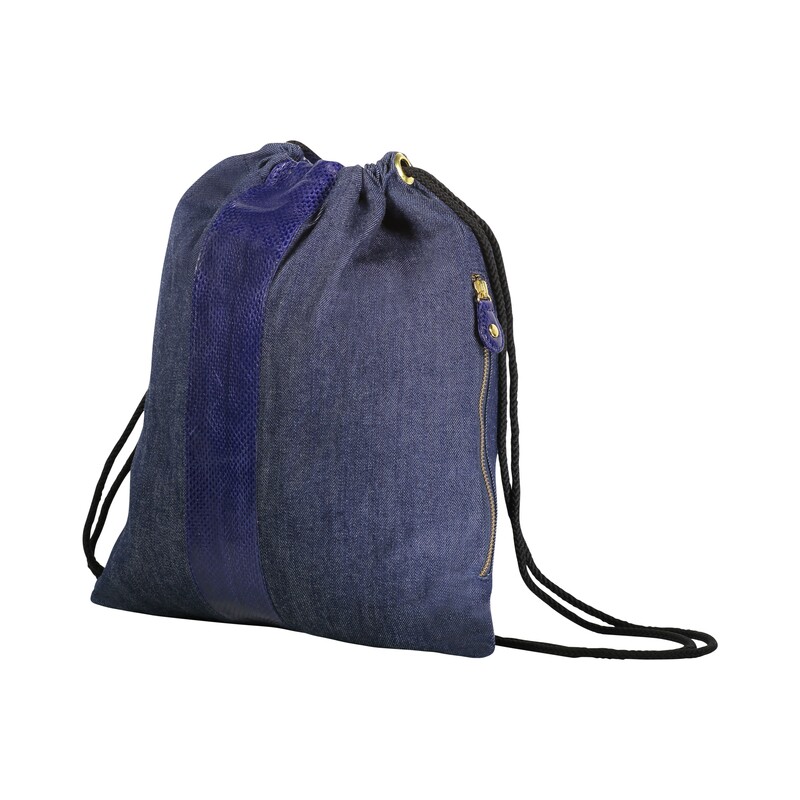 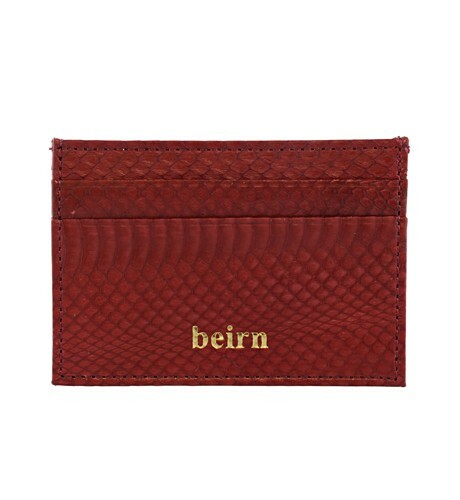 Interior has 1 slot pocket and a detachable all suede zip pouch.